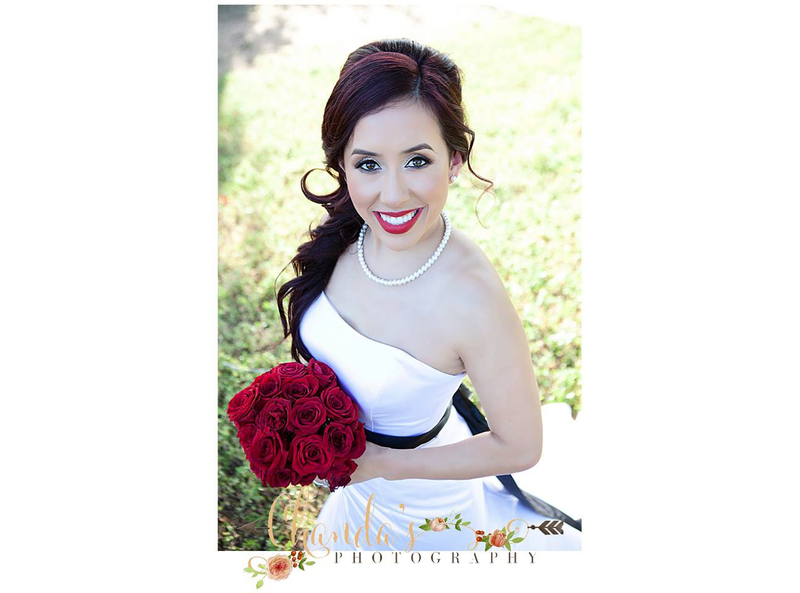 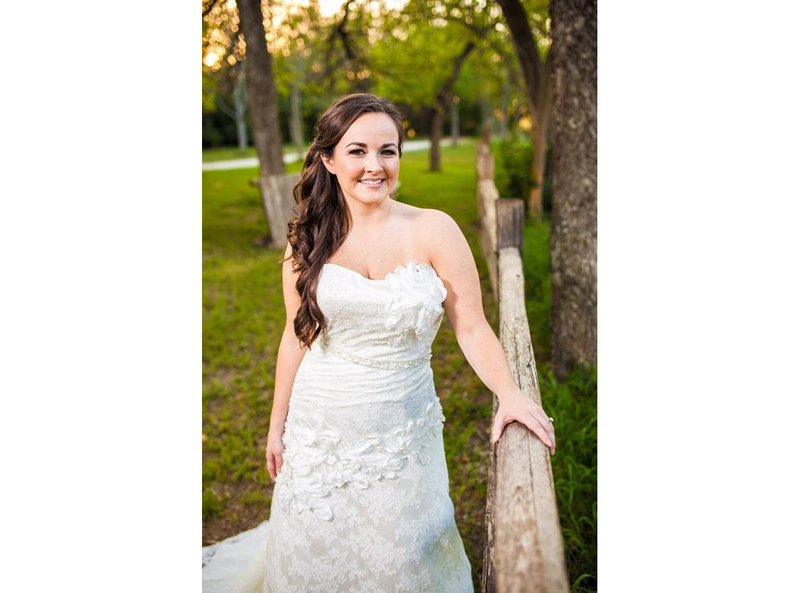 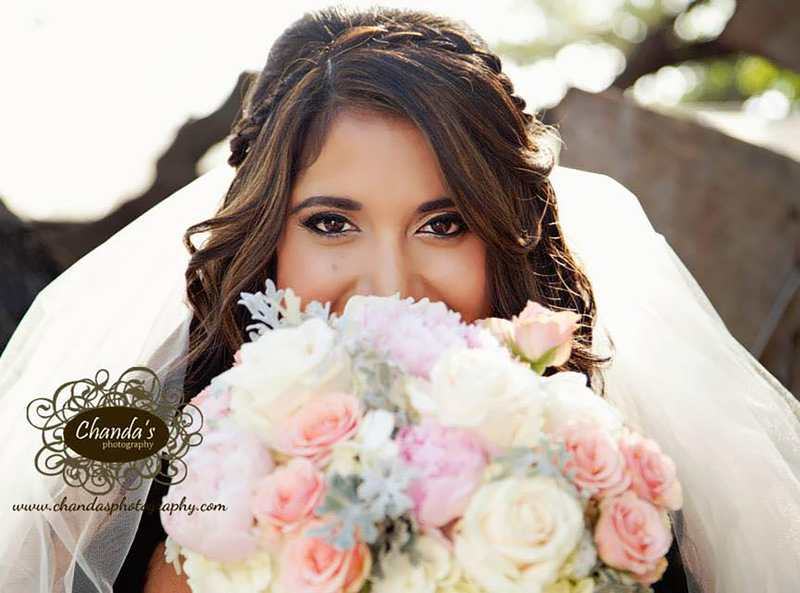 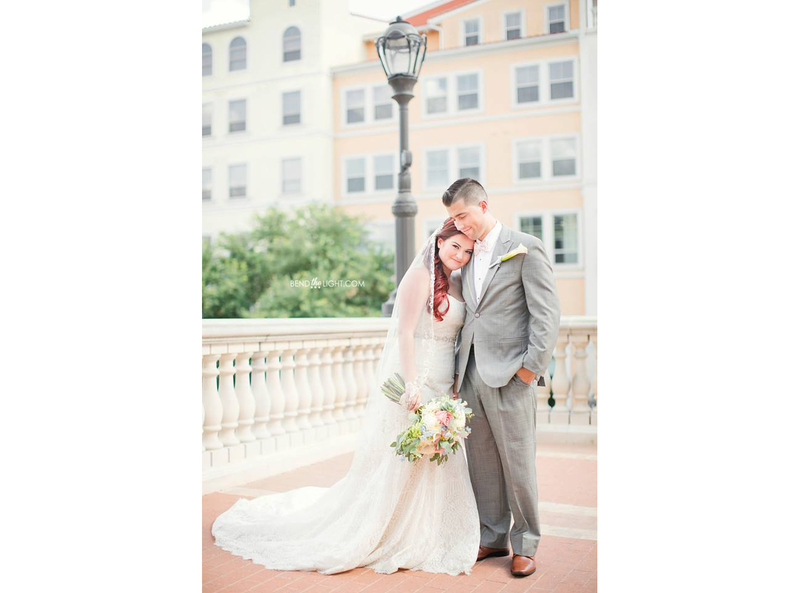 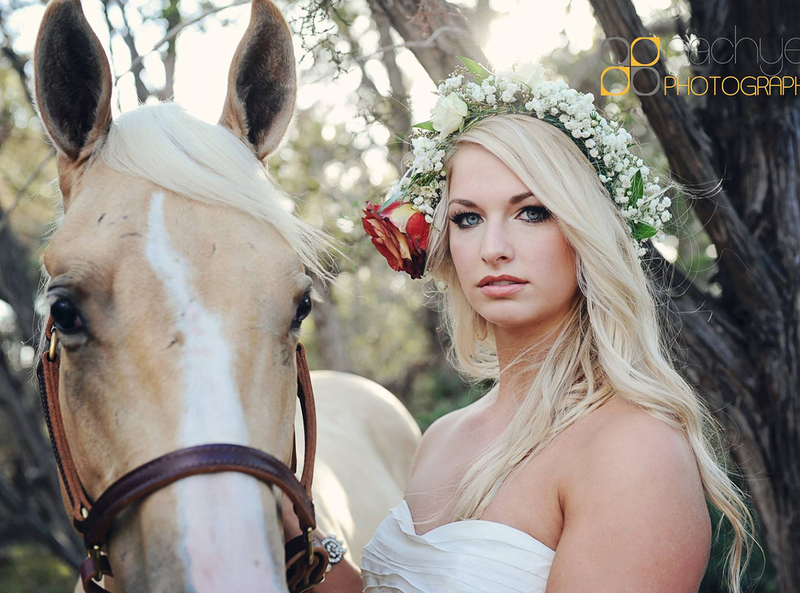 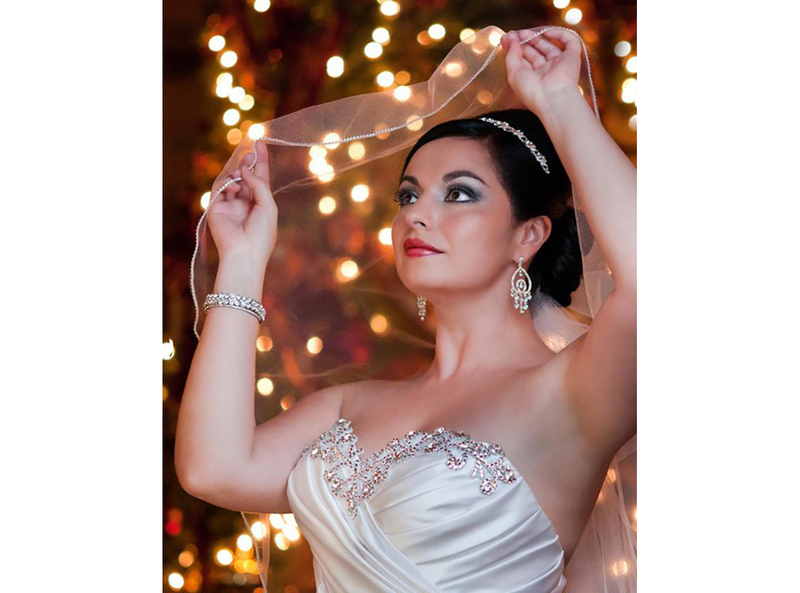 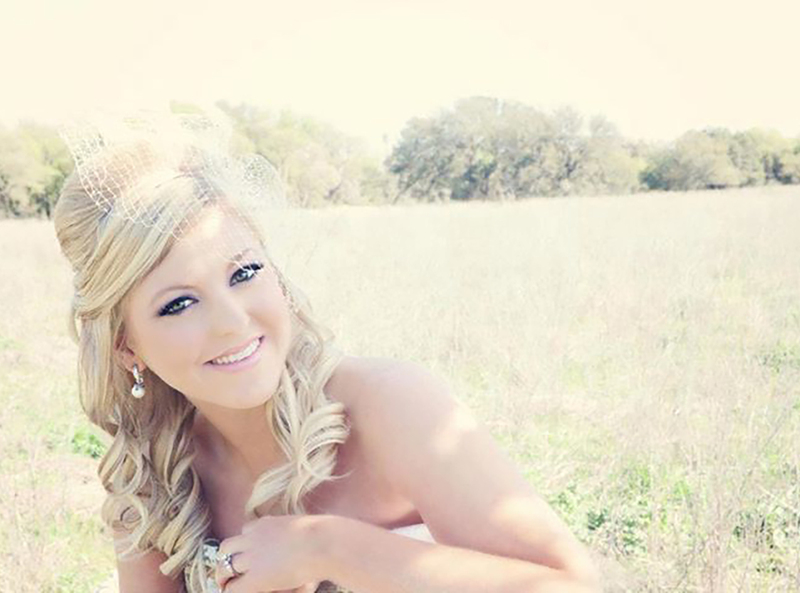 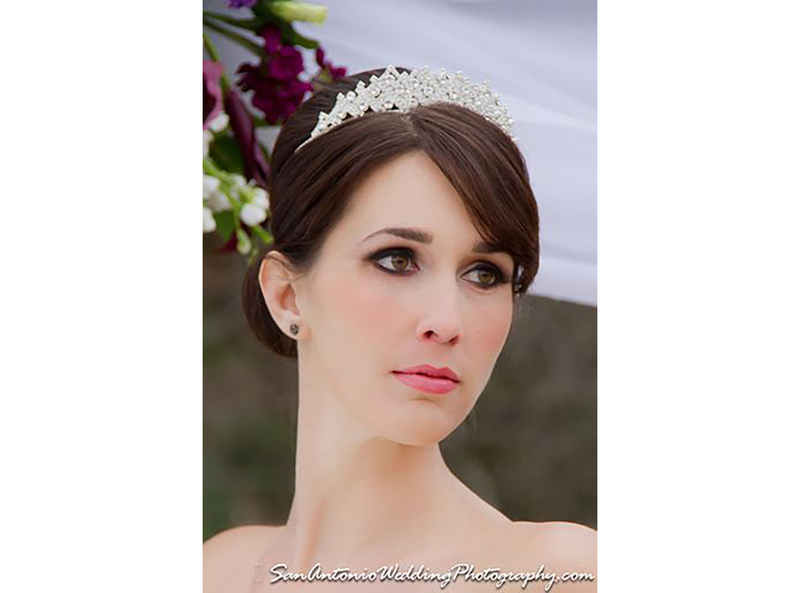 Your bridal portraits will be truly timeless, so looking your most beautiful is essential. 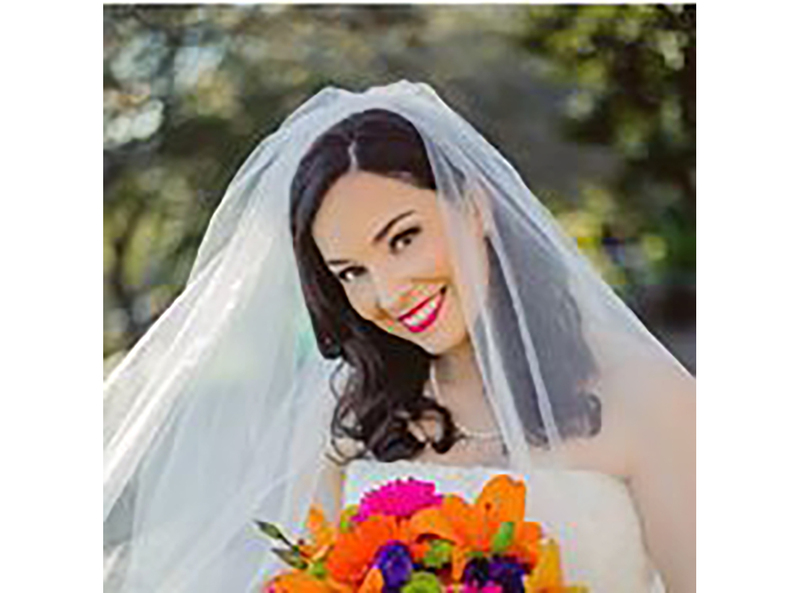 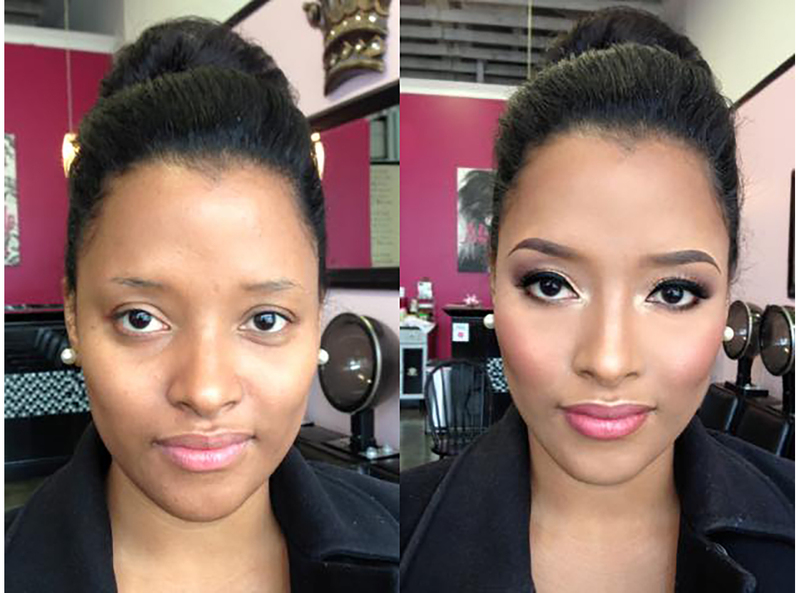 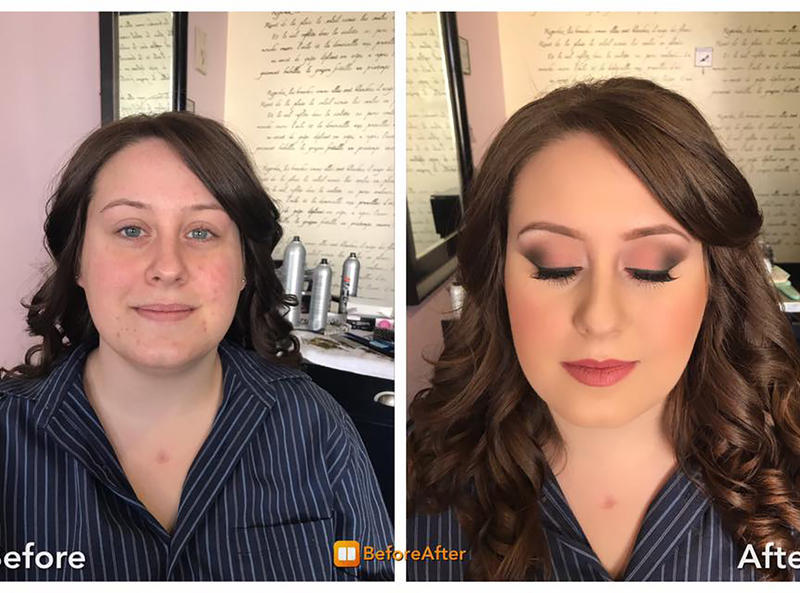 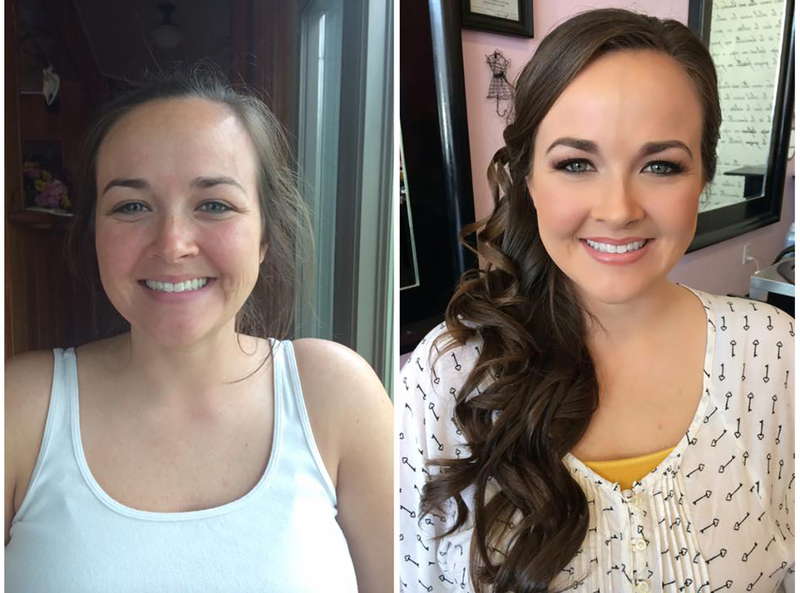 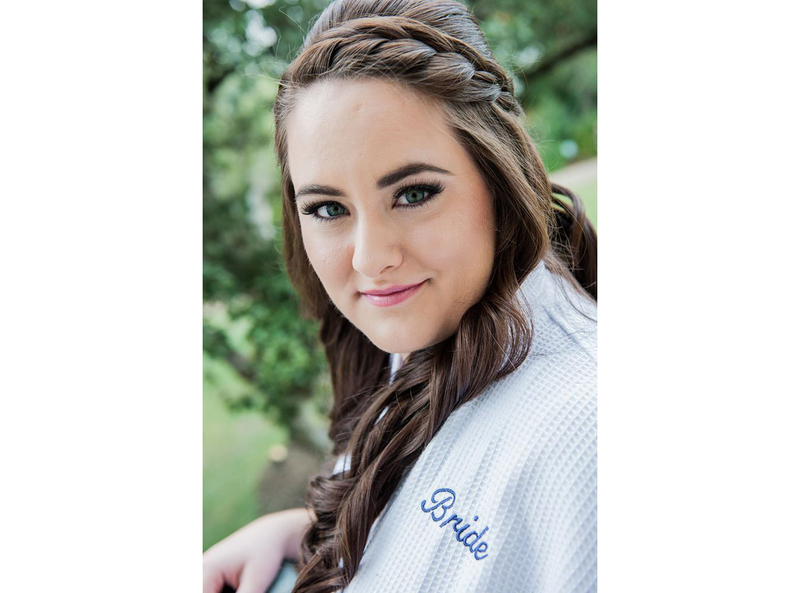 Whether you come to us or we go to you, rest assured that your hair and make-up will look just as perfect on your portrait day as they will on your wedding day itself. 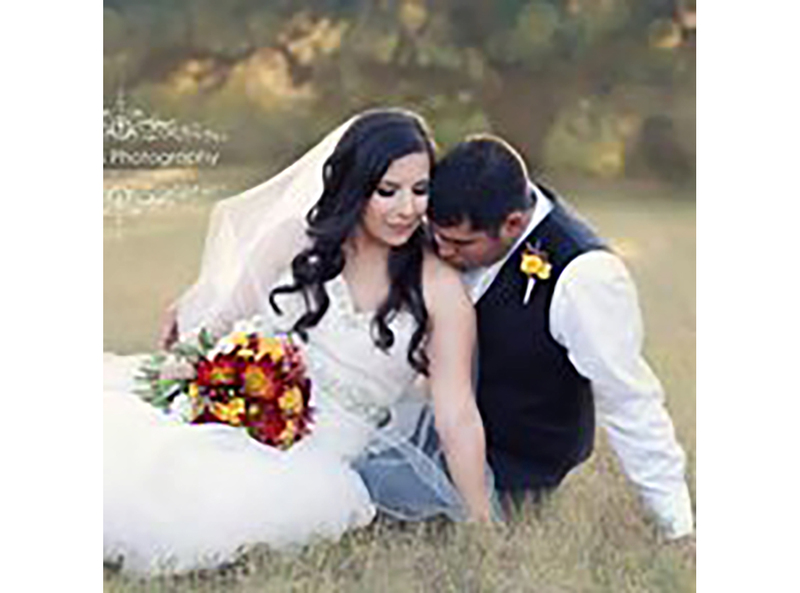 We’re also available to style your hair and make-up for your engagement photo shoots, as well. 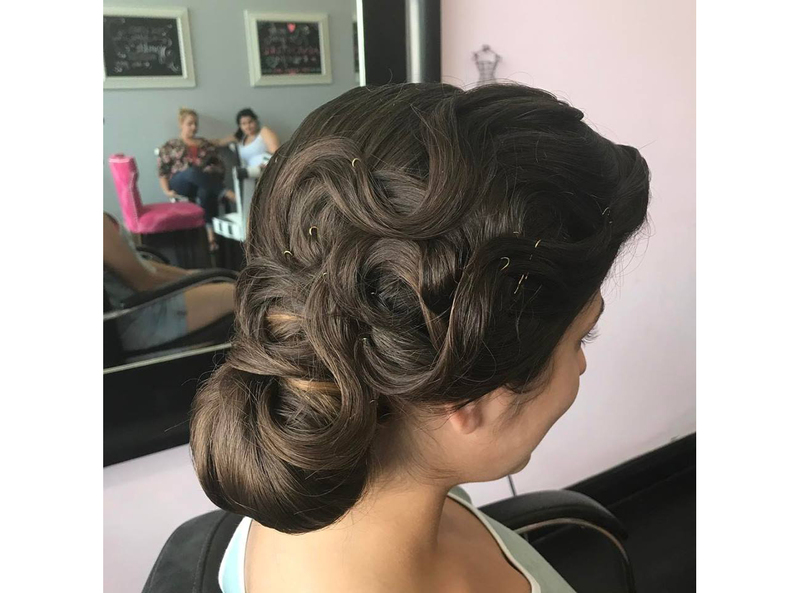 Long flowing locks of curls, waves or spirals certainly give the updo a run for its money when it comes to hairstyles for special occasions. 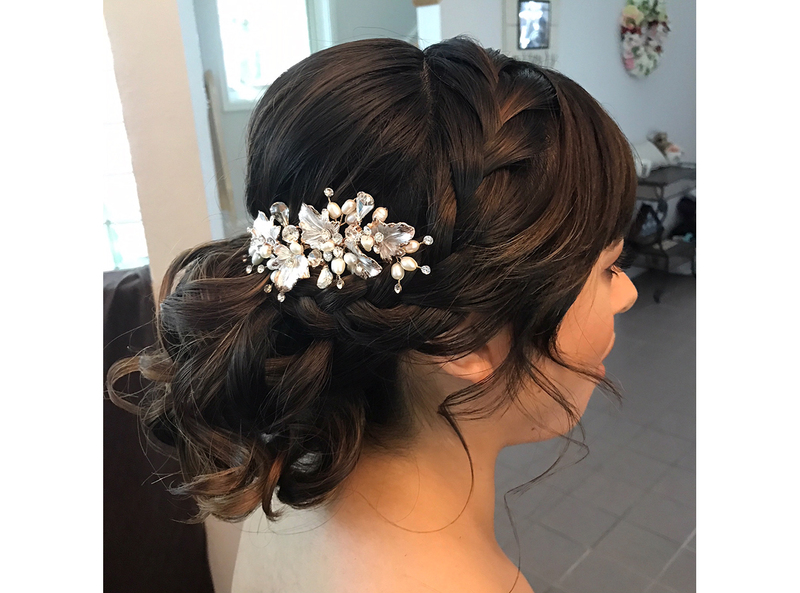 These romantic styles look wonderful with veils, tiaras or other accessories and can really compliment the neckline of your dress. 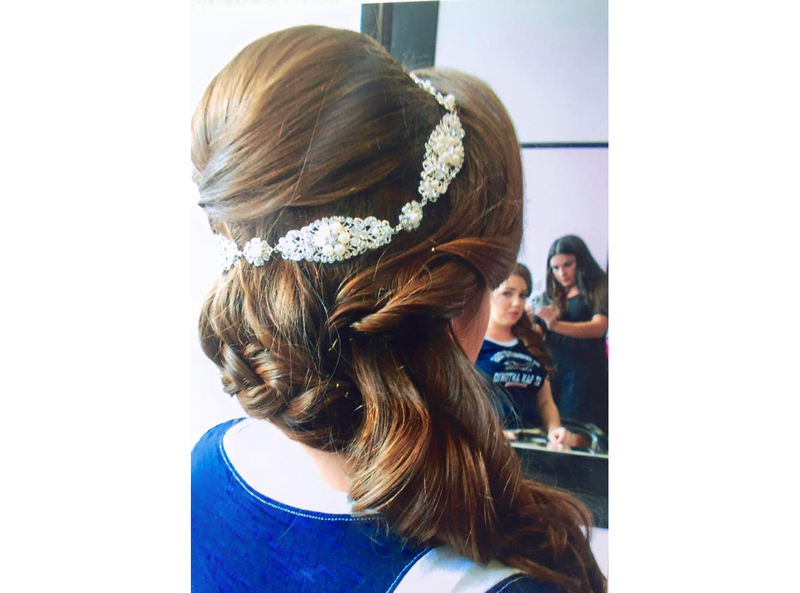 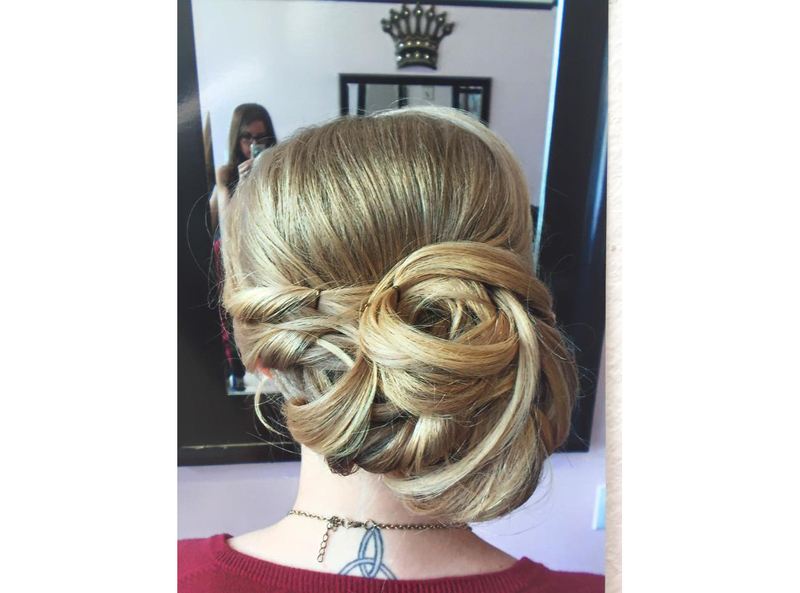 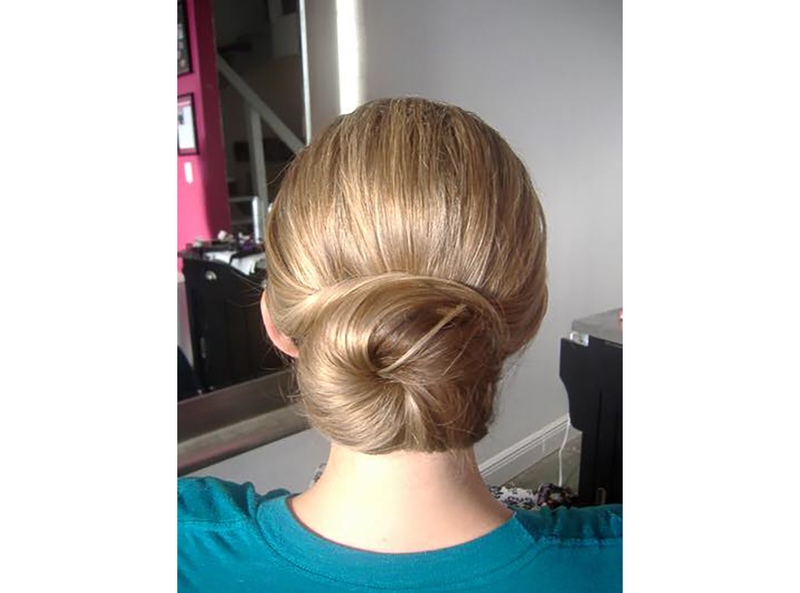 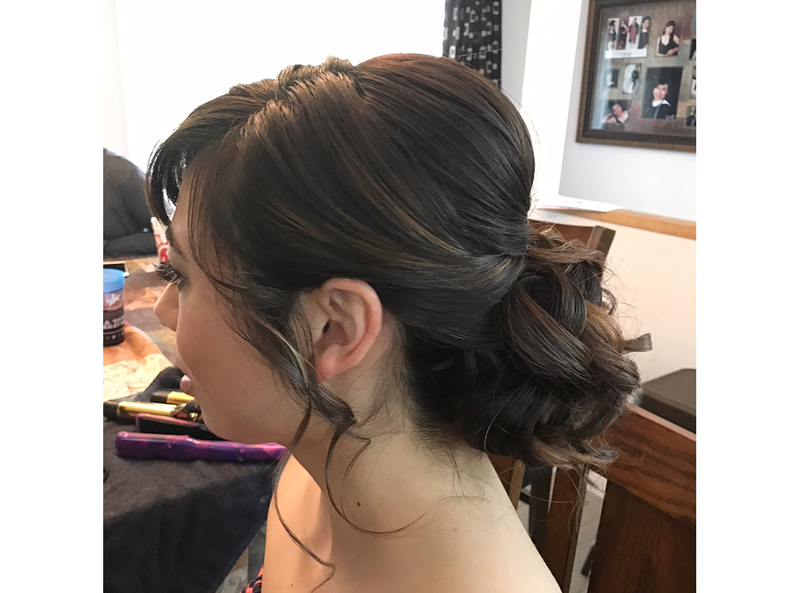 The updo is the most popular wedding and special event hairstyle these days. 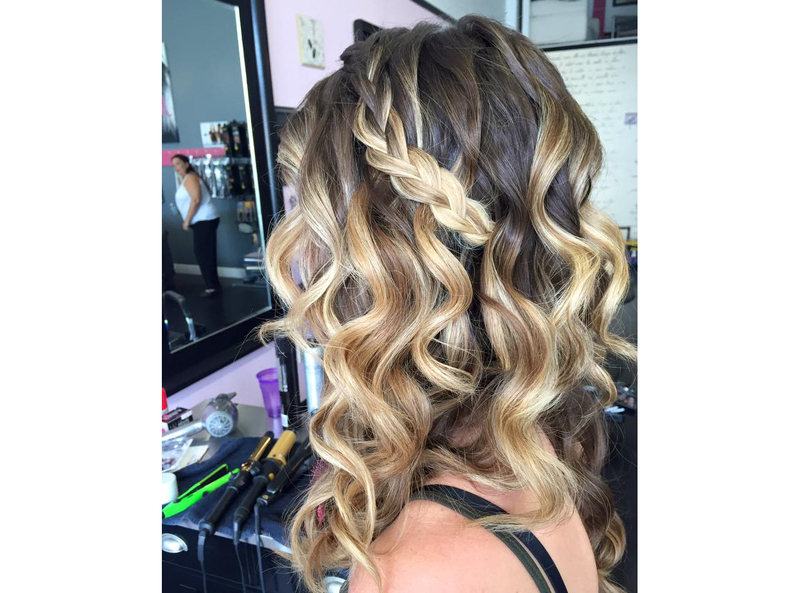 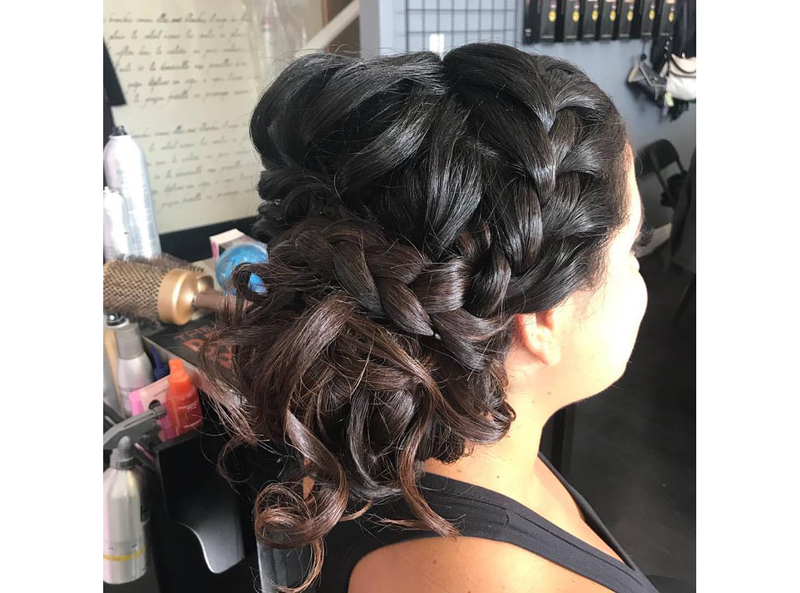 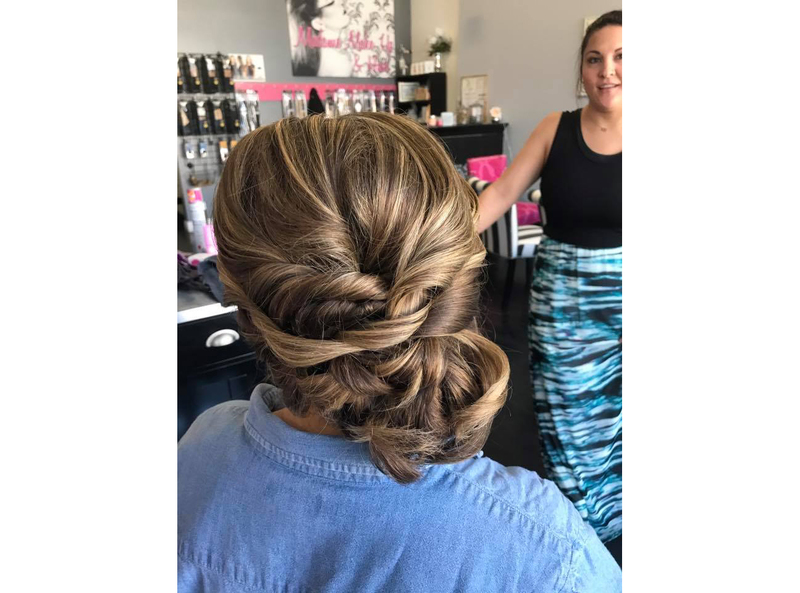 Whether you want piles of curls, elegant wraps or twists, braids, knots or waves, we’ve got plenty of styles to inspire you. 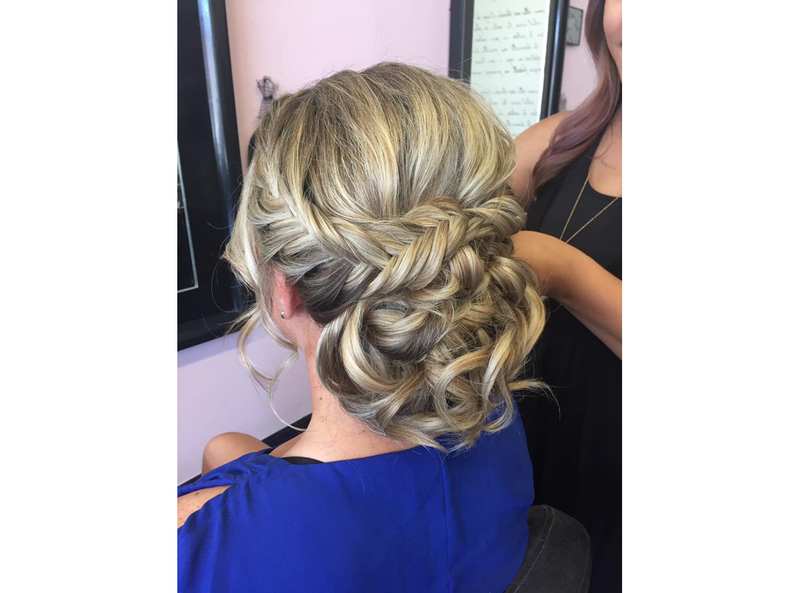 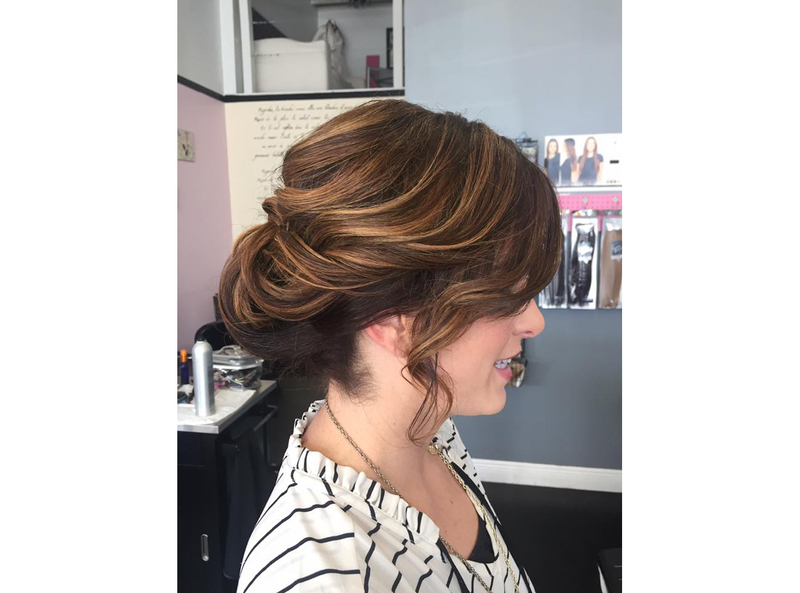 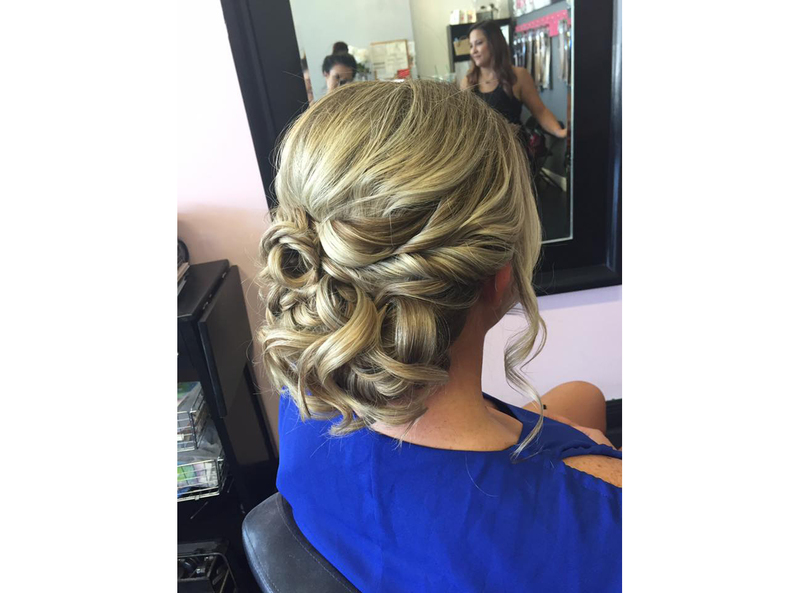 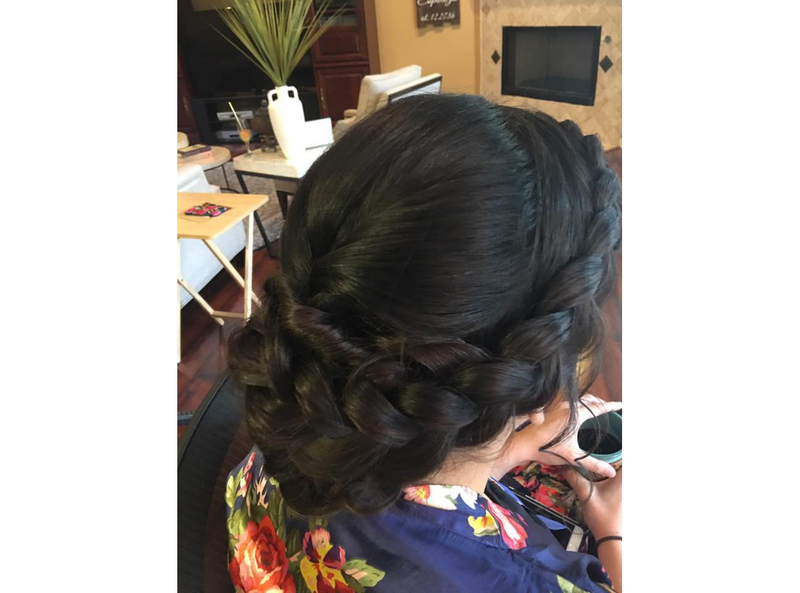 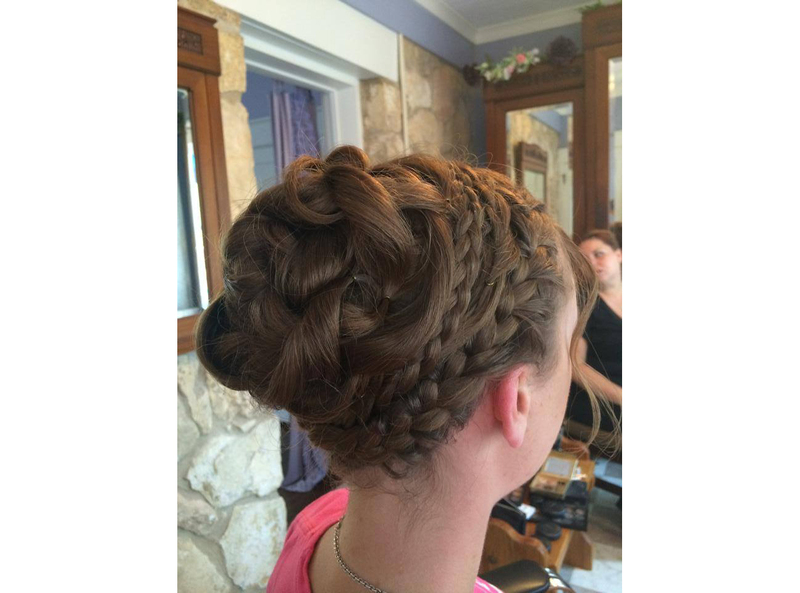 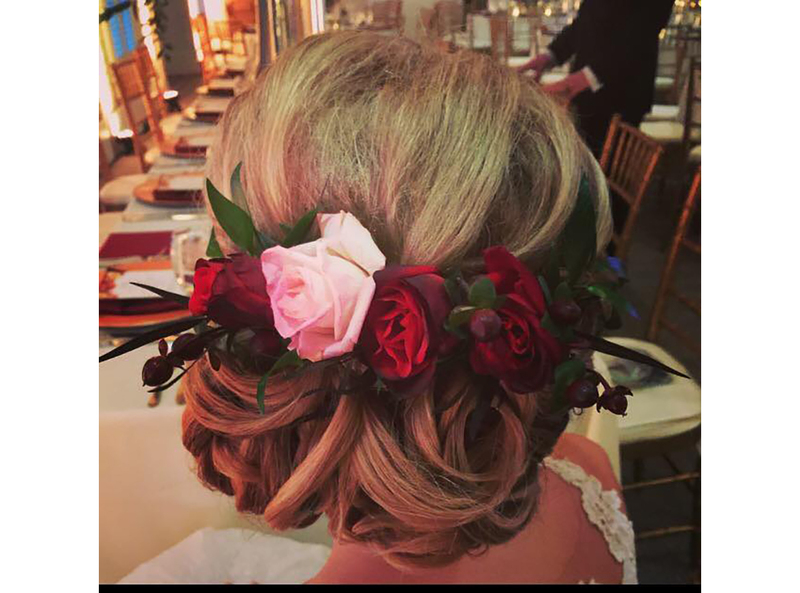 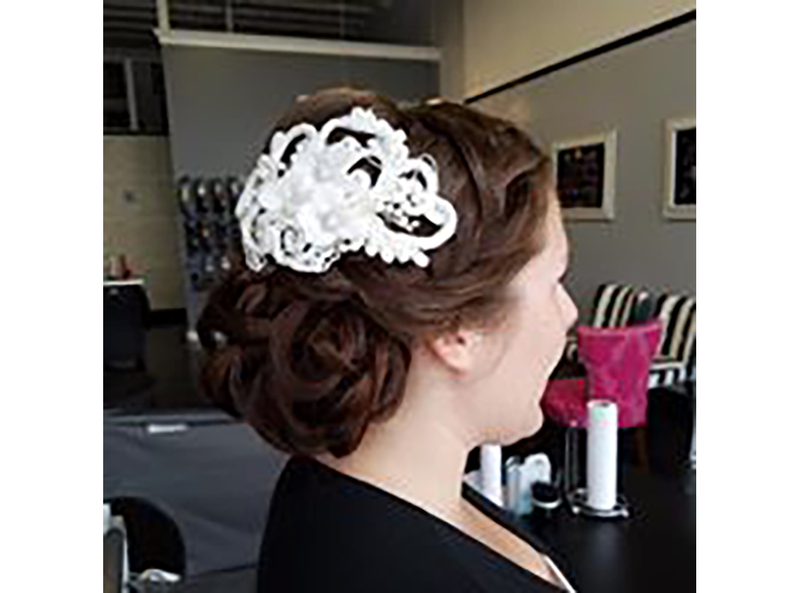 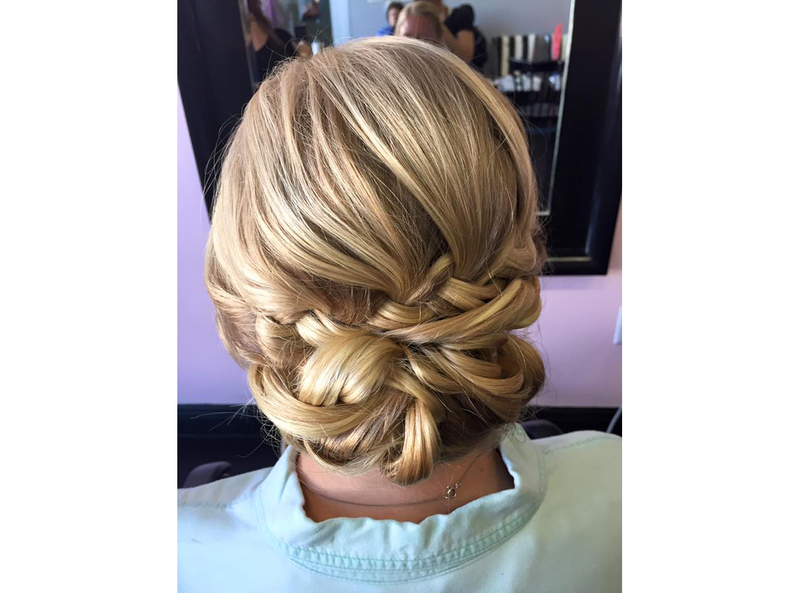 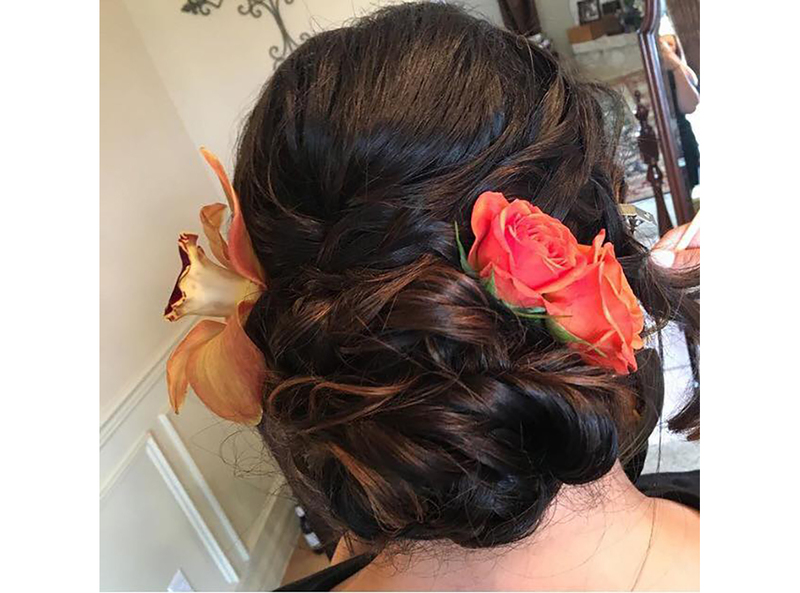 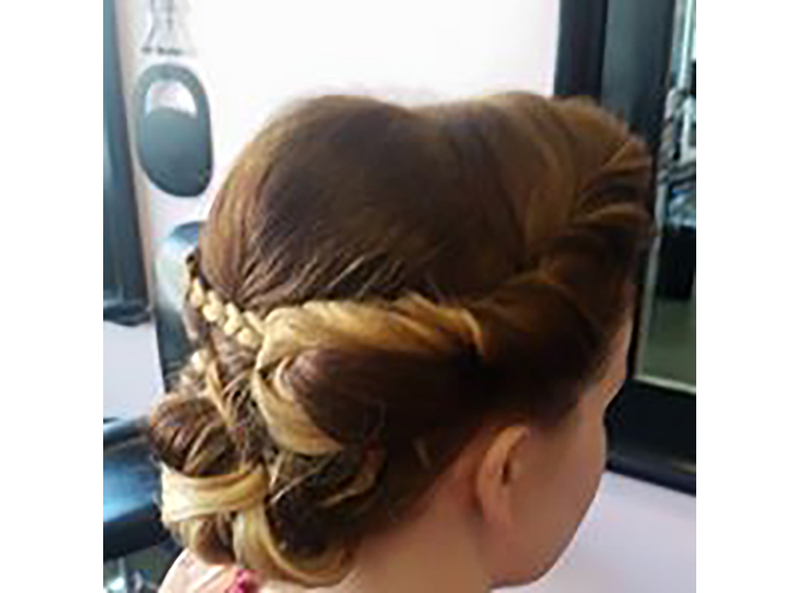 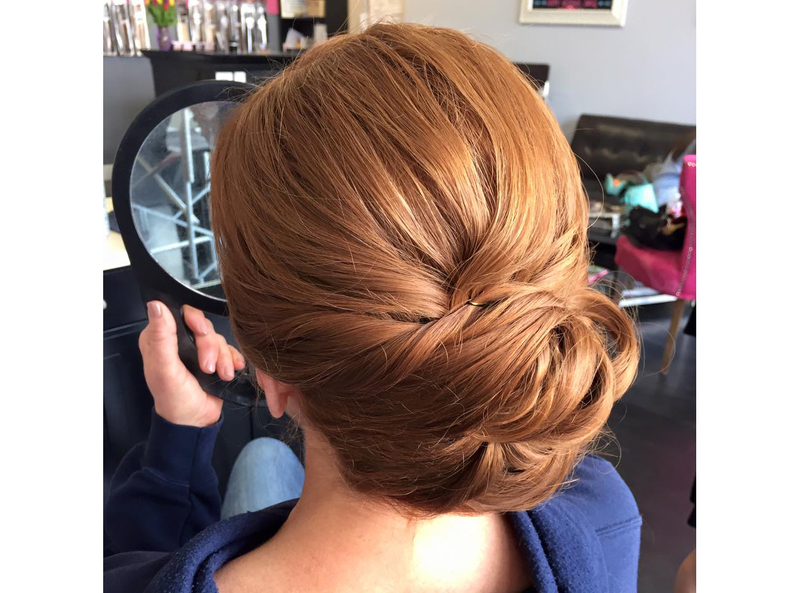 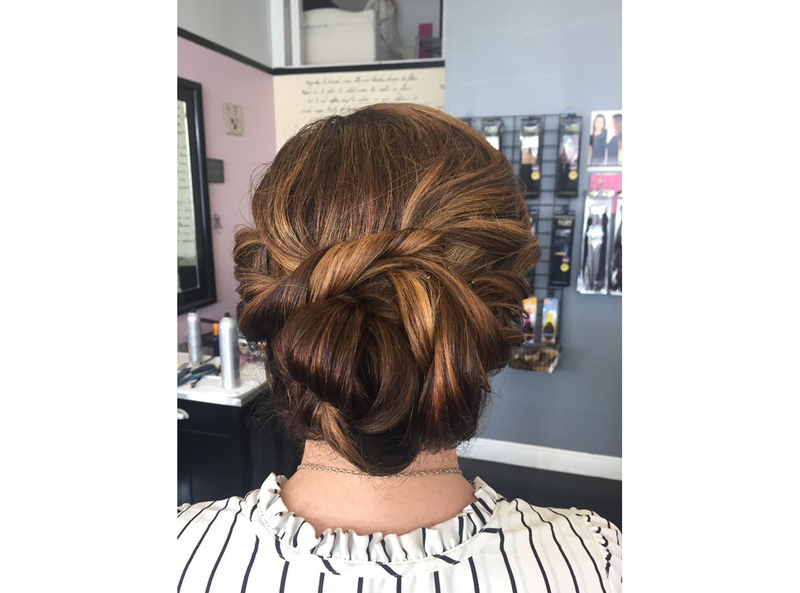 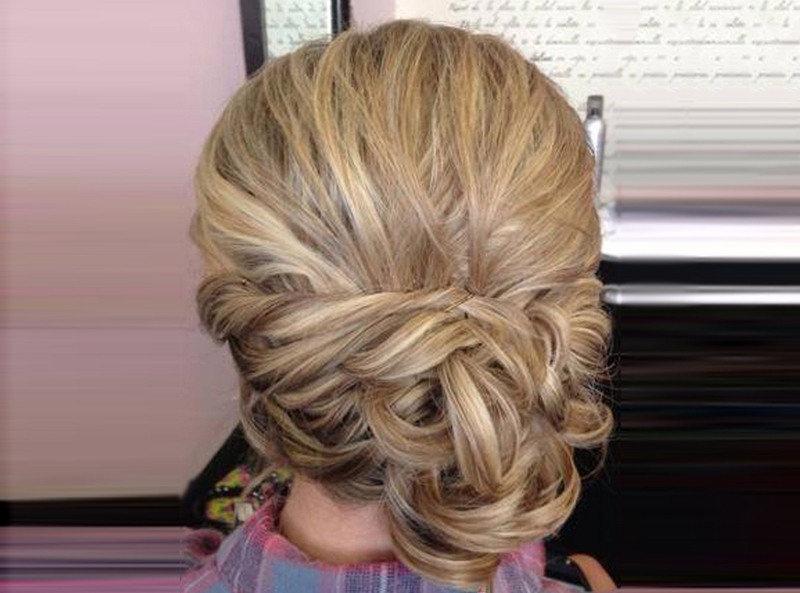 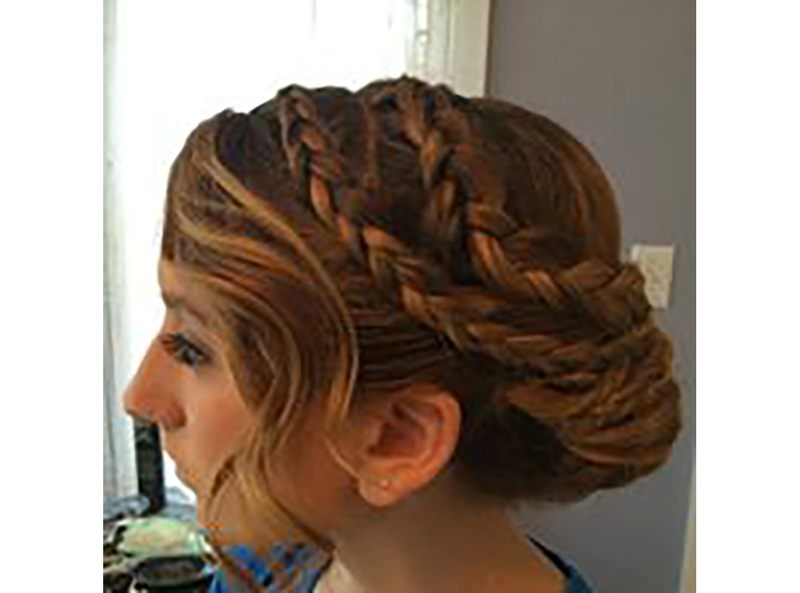 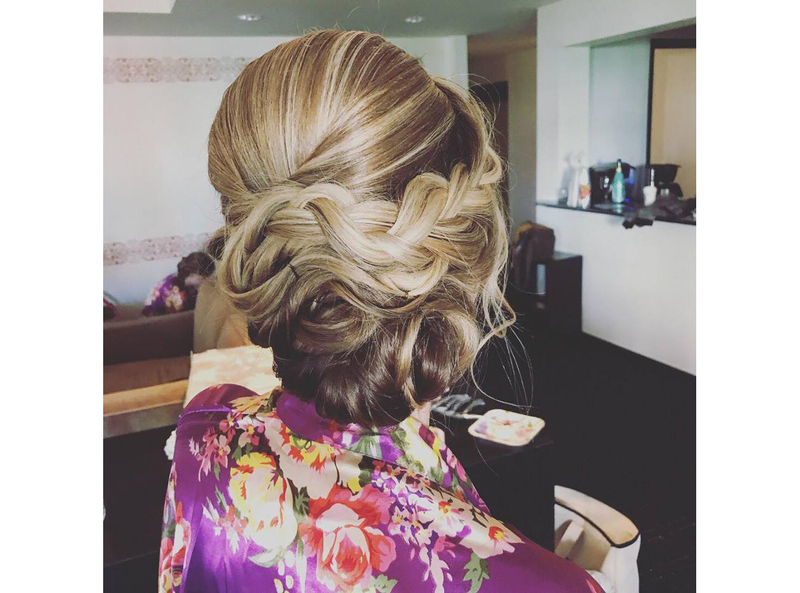 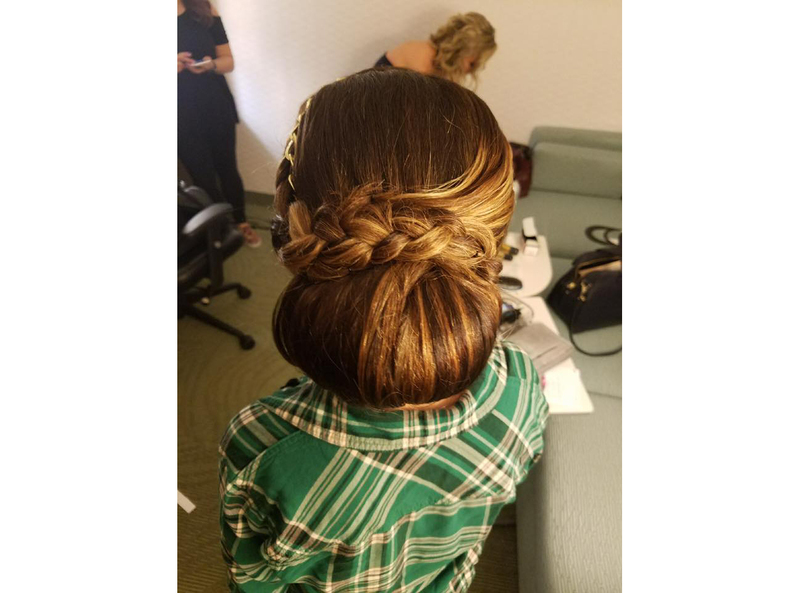 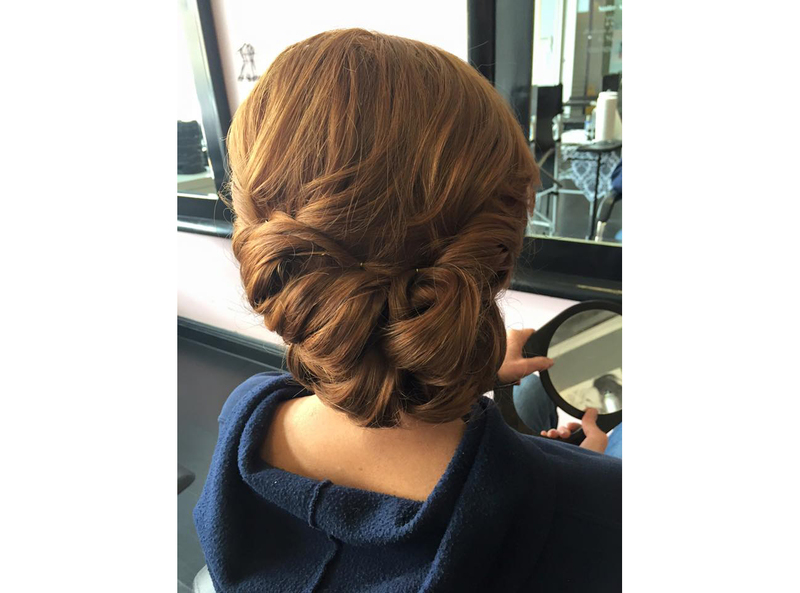 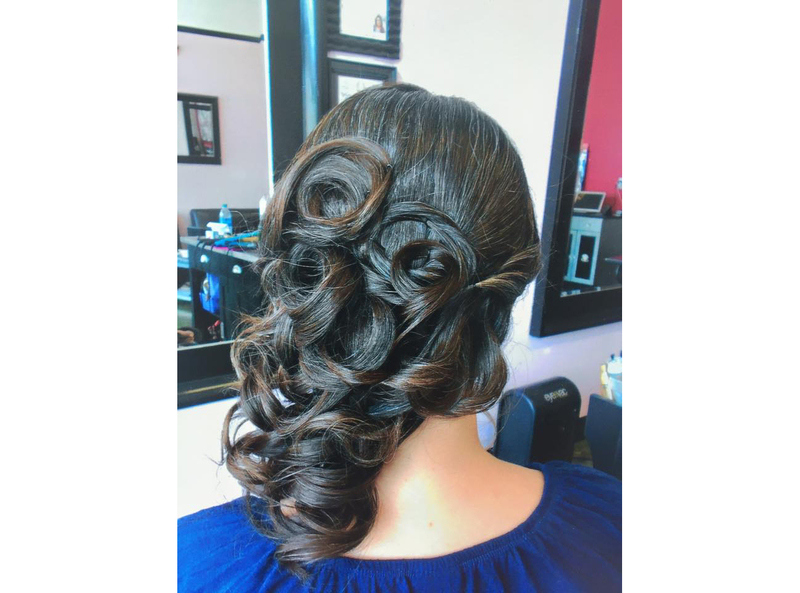 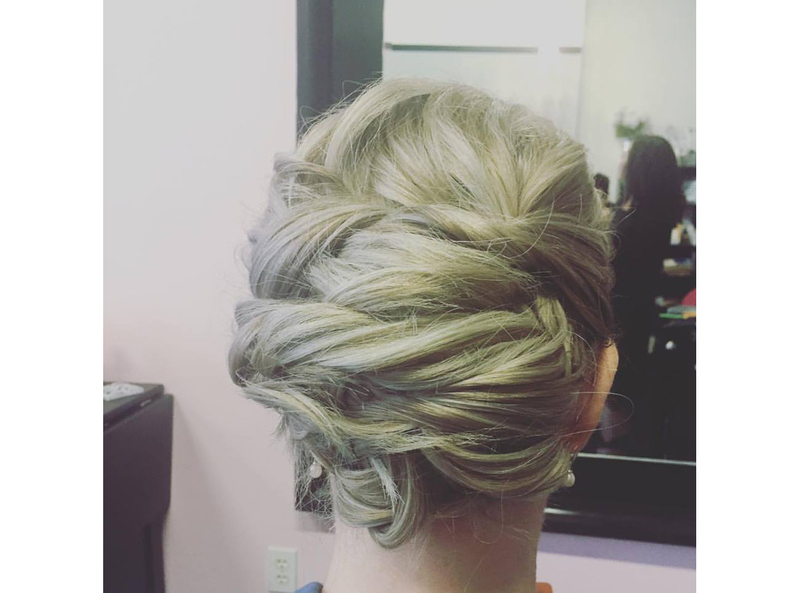 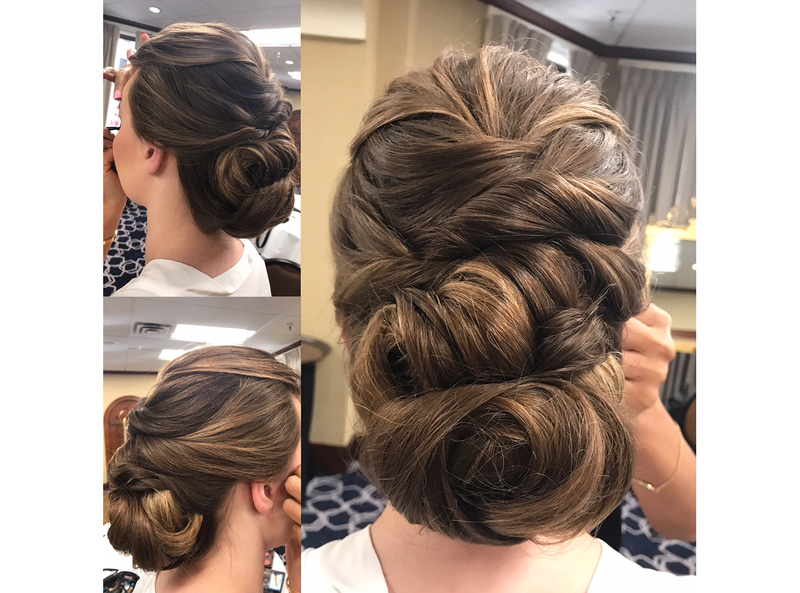 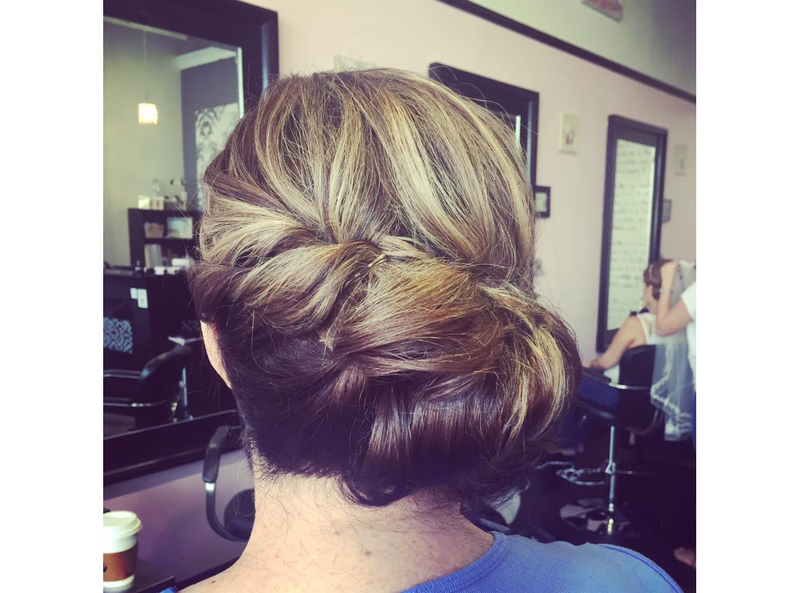 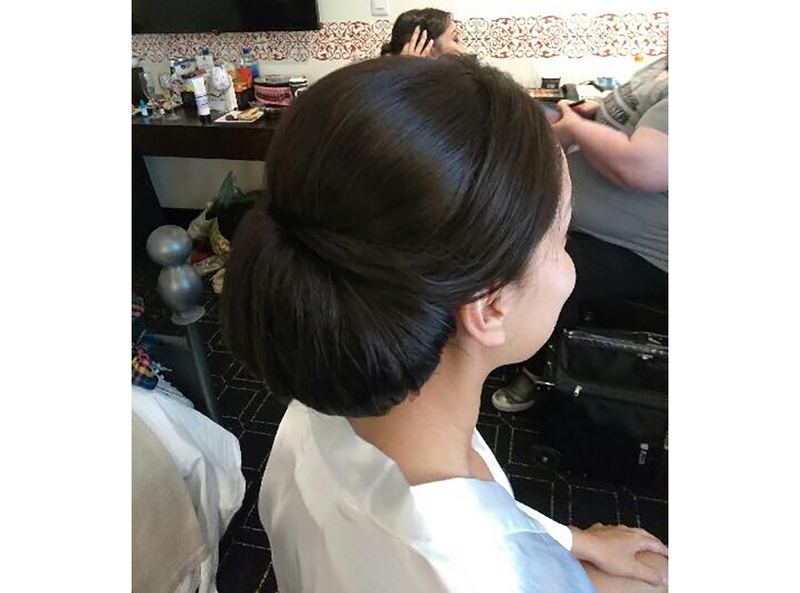 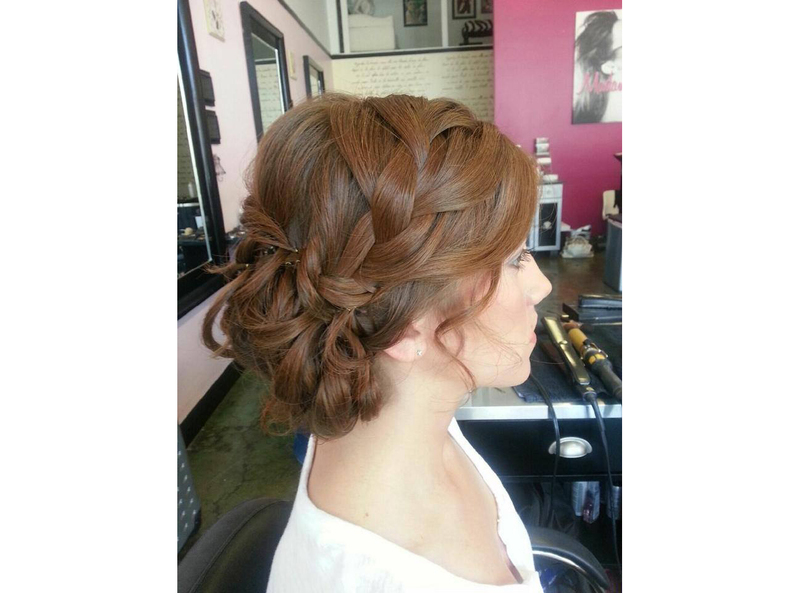 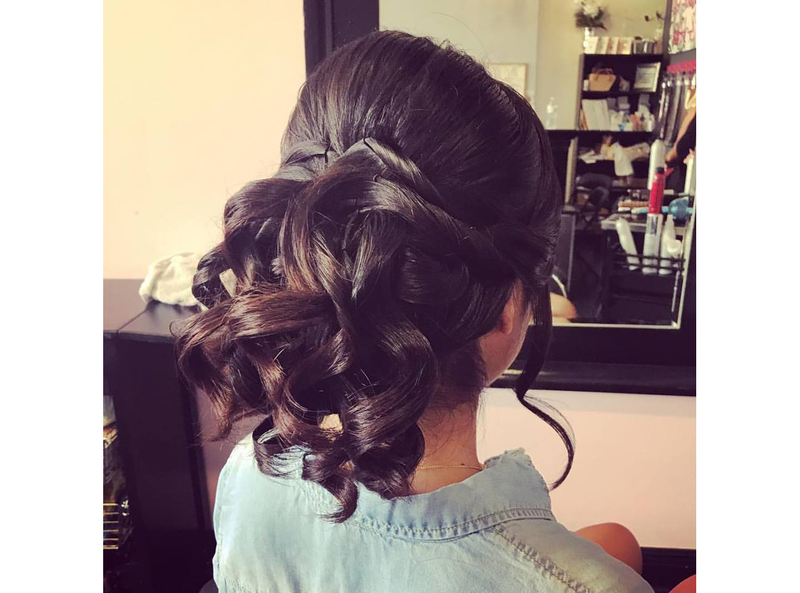 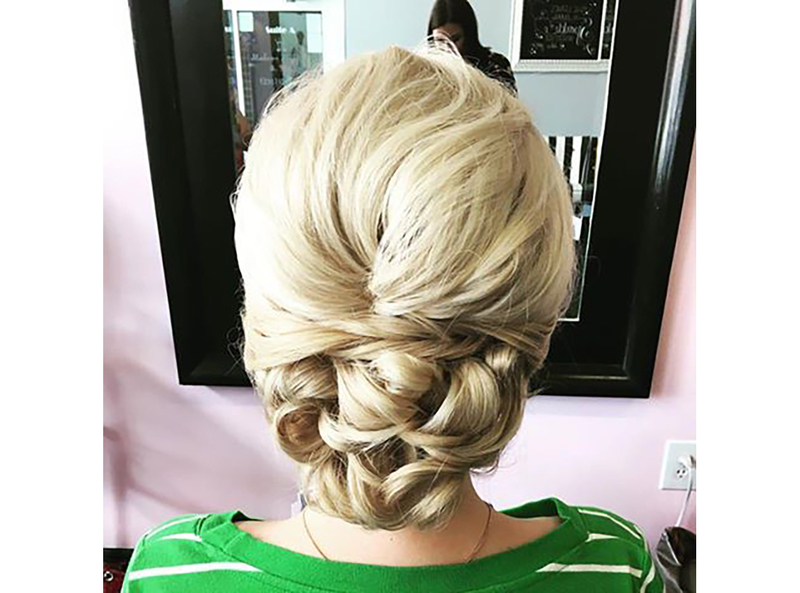 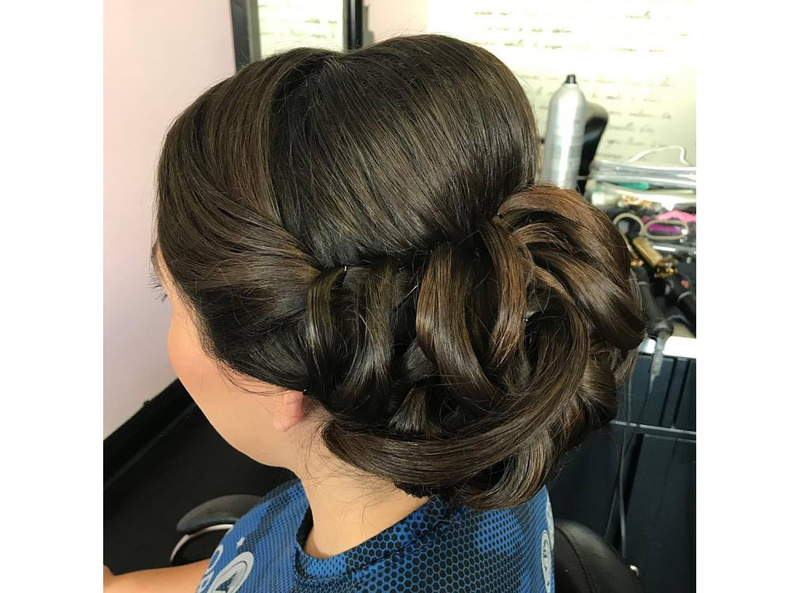 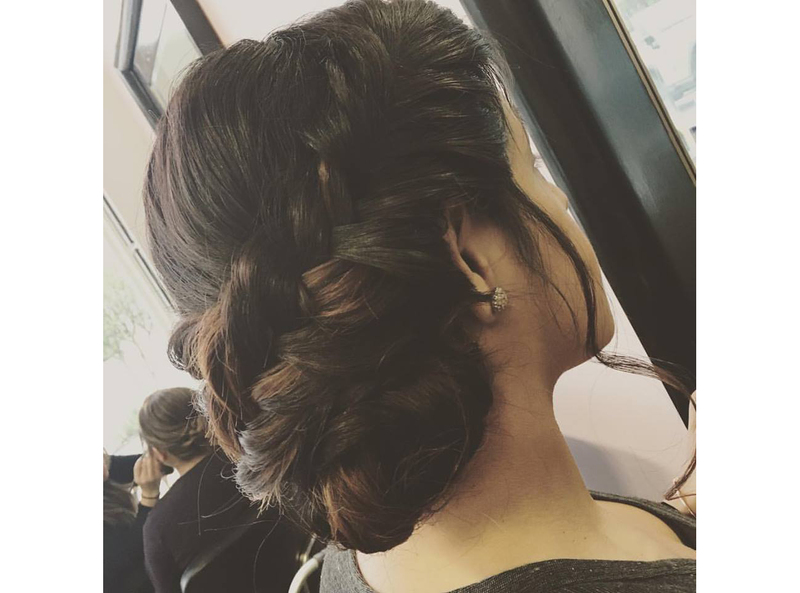 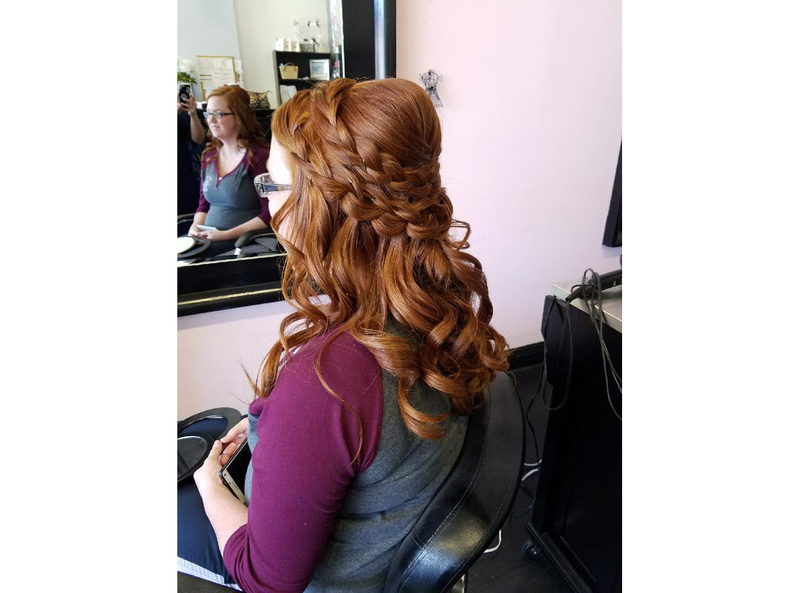 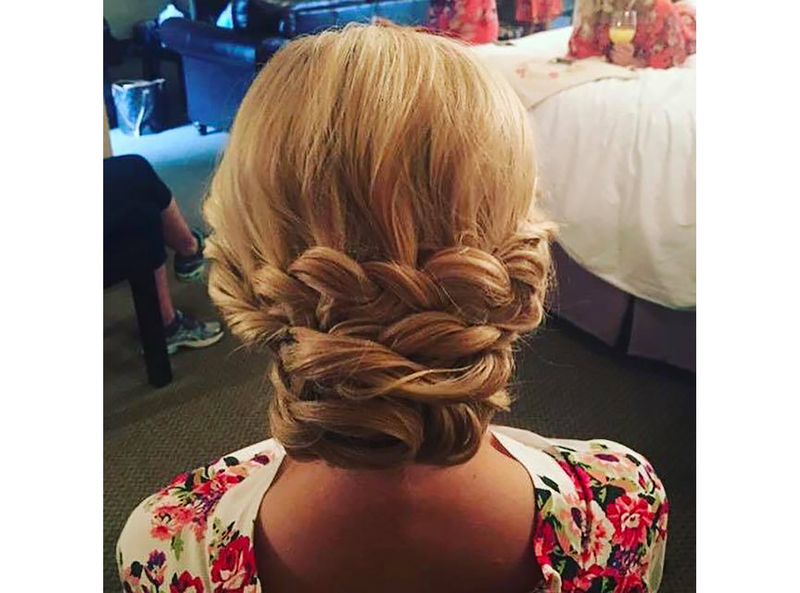 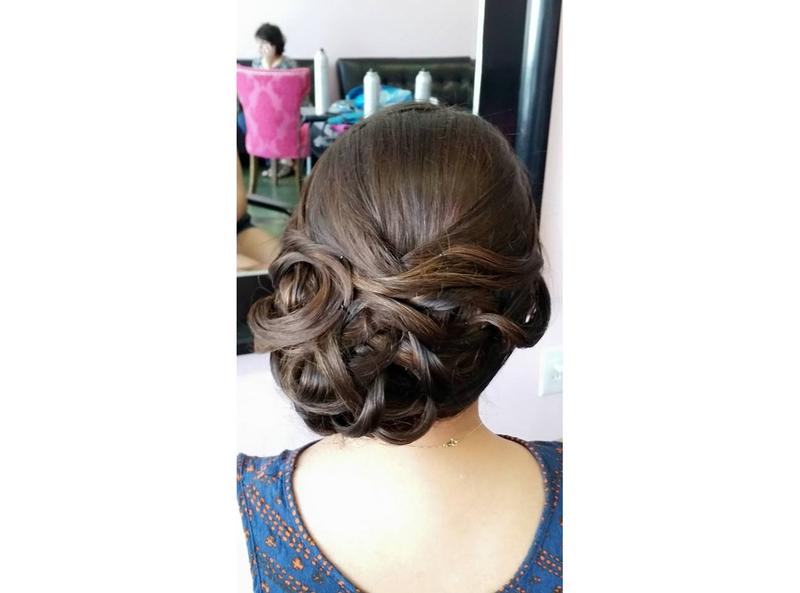 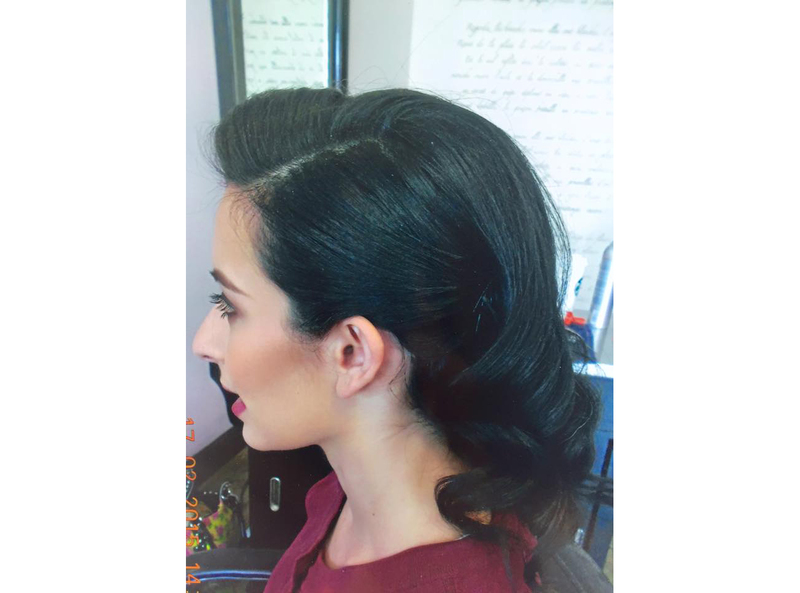 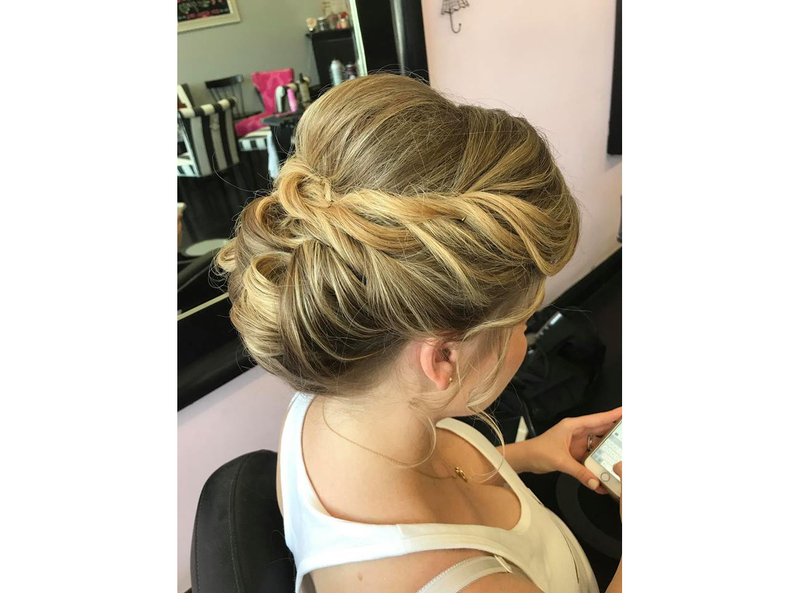 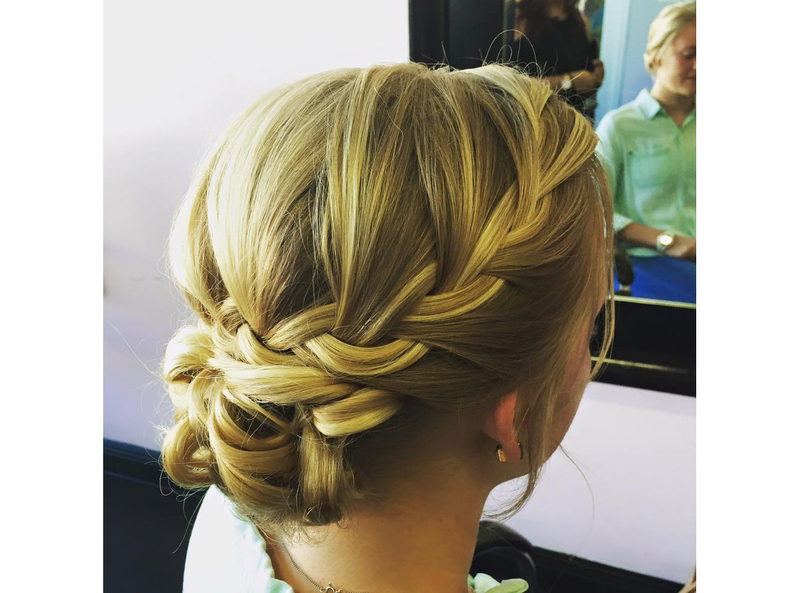 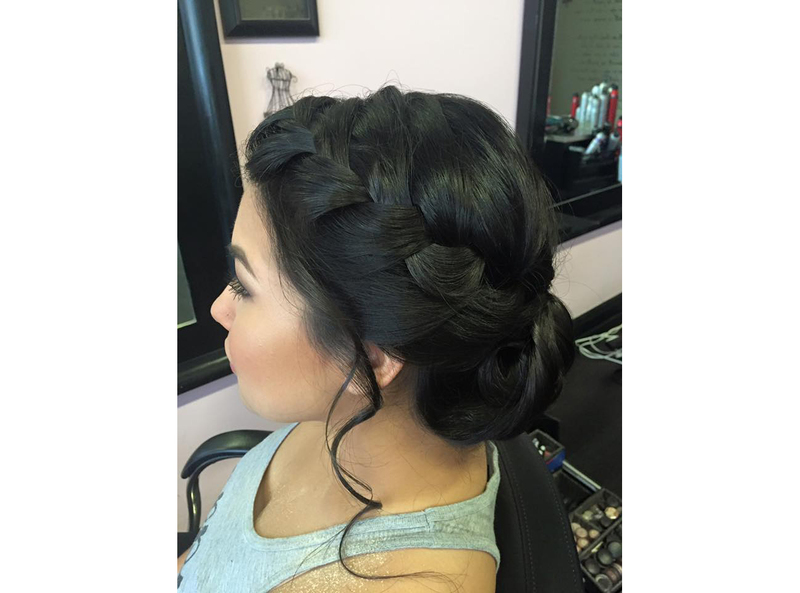 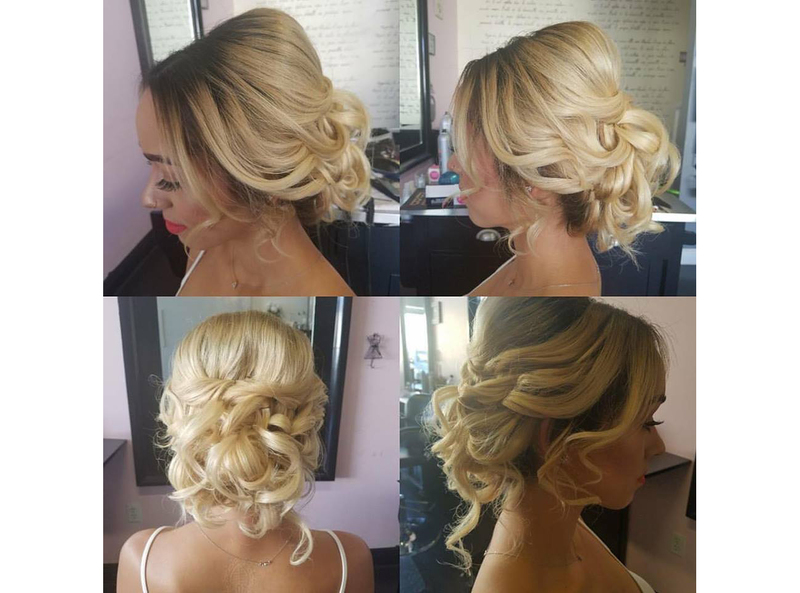 Take a look through our gallery and see what your ideal updo might look like. 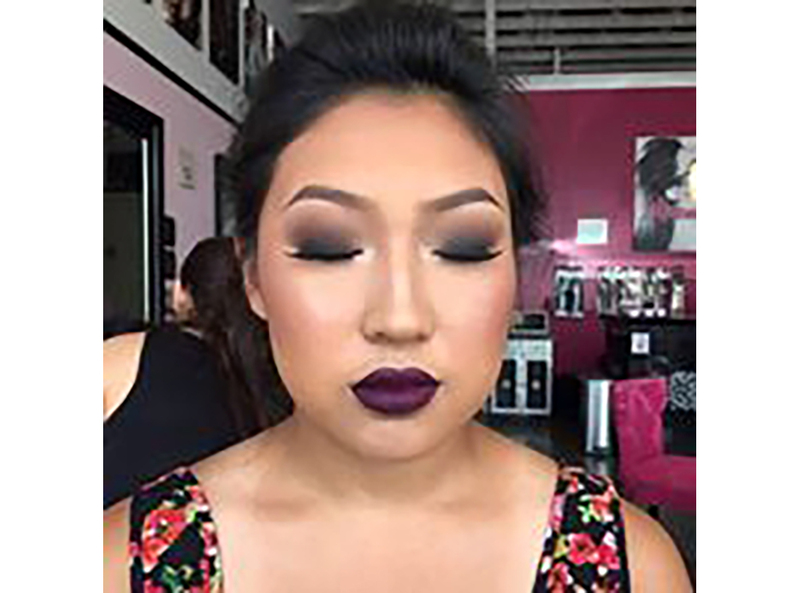 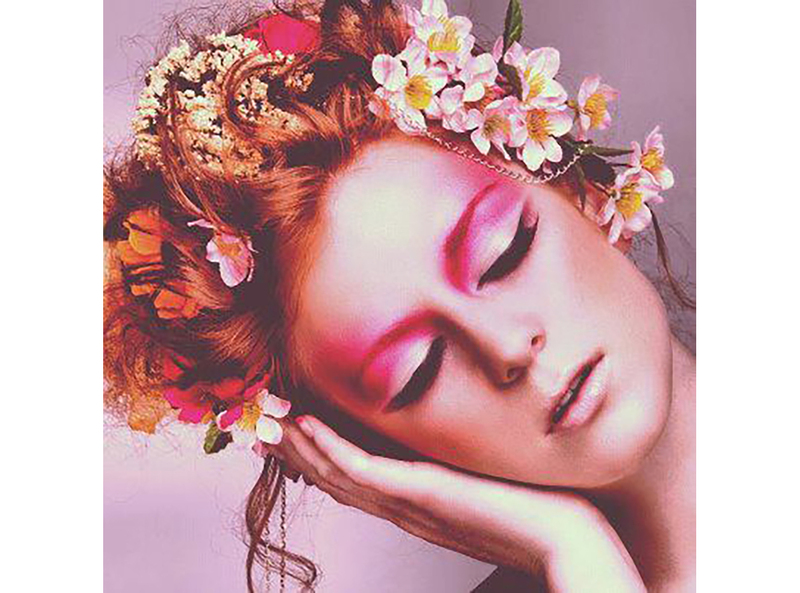 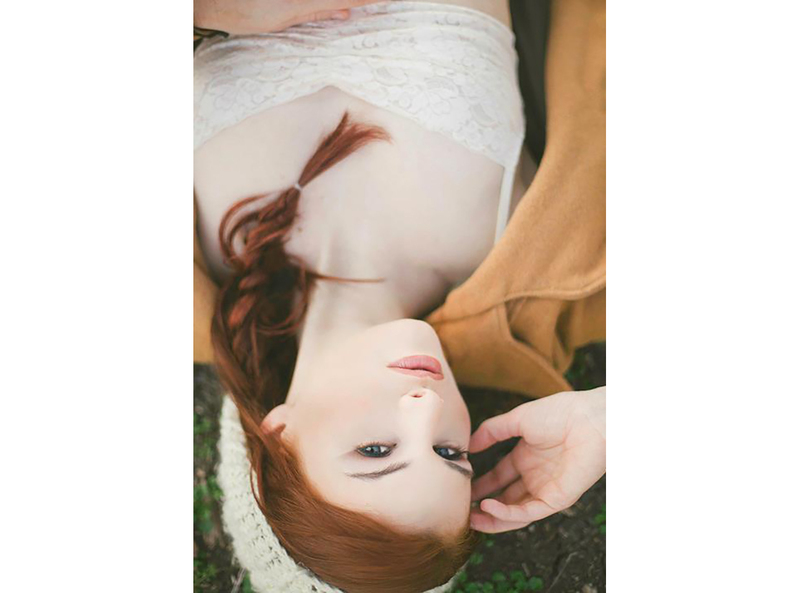 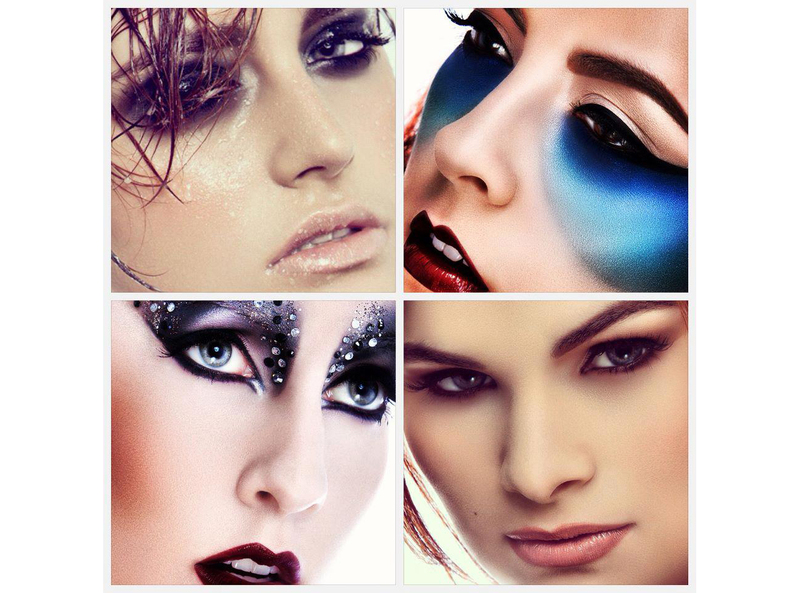 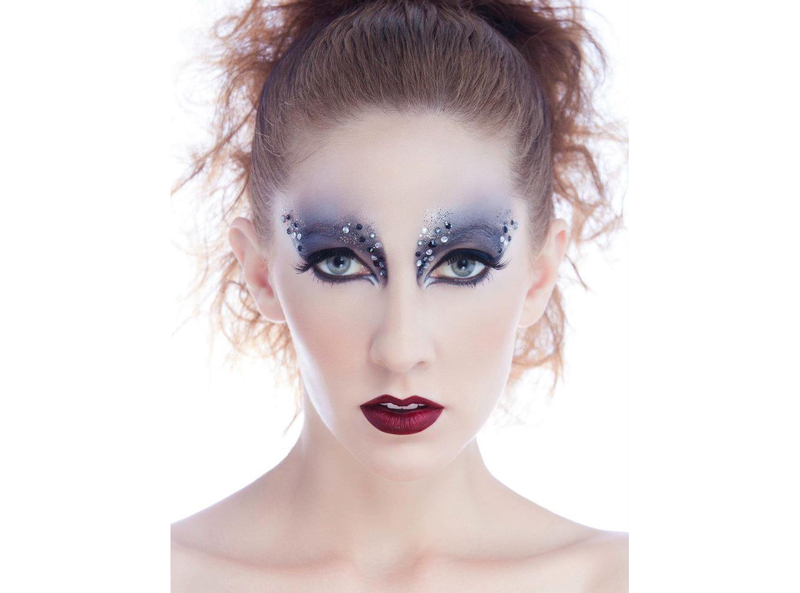 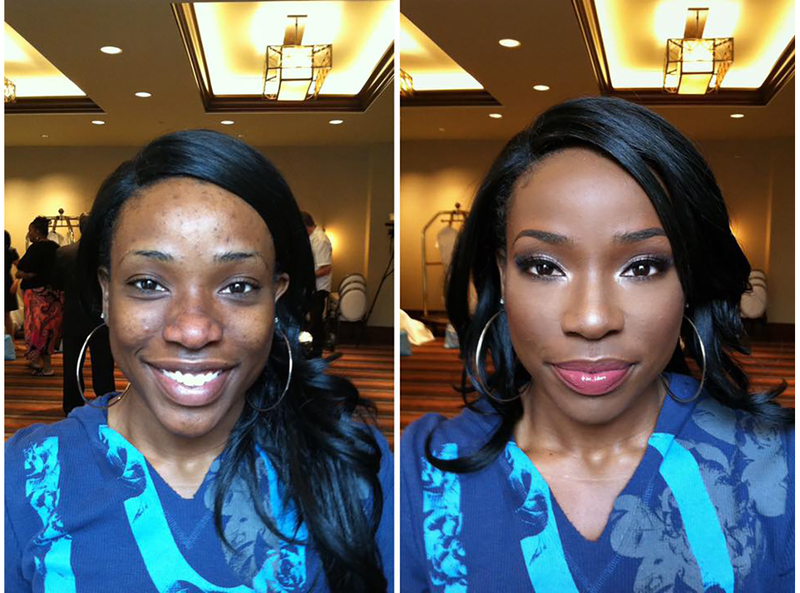 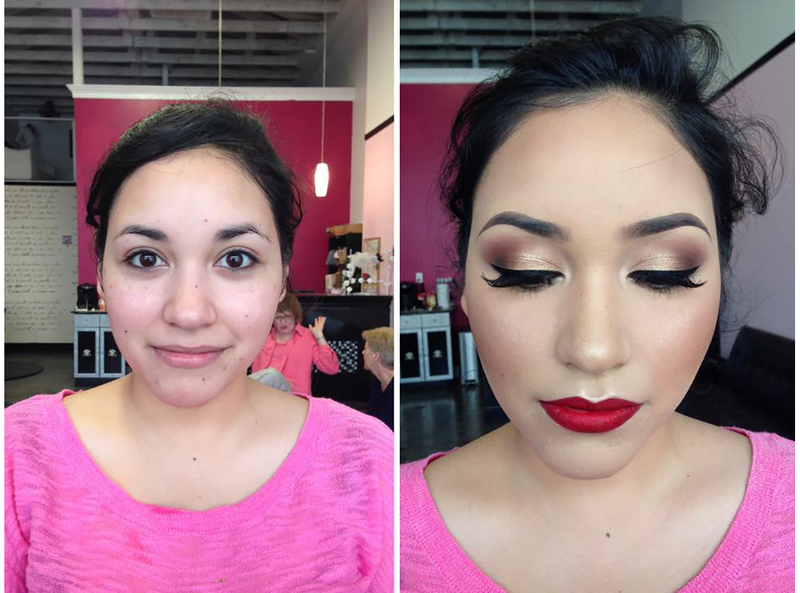 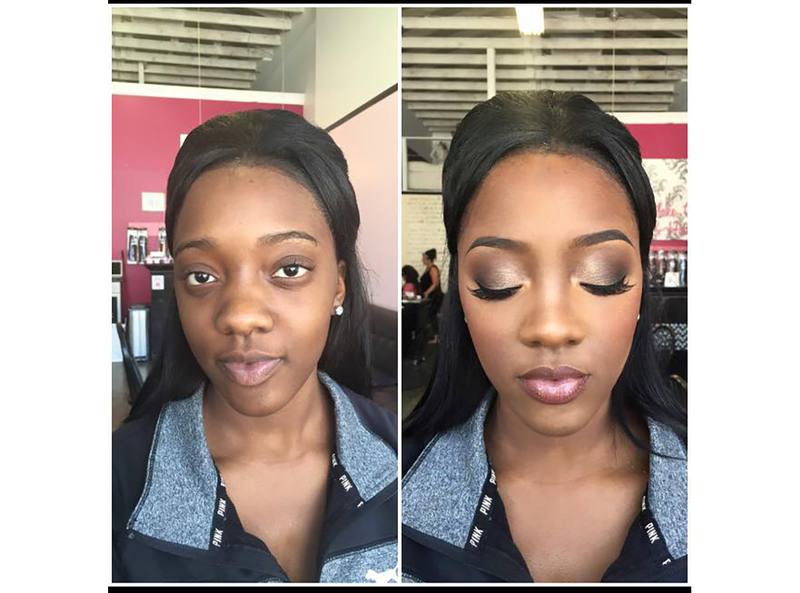 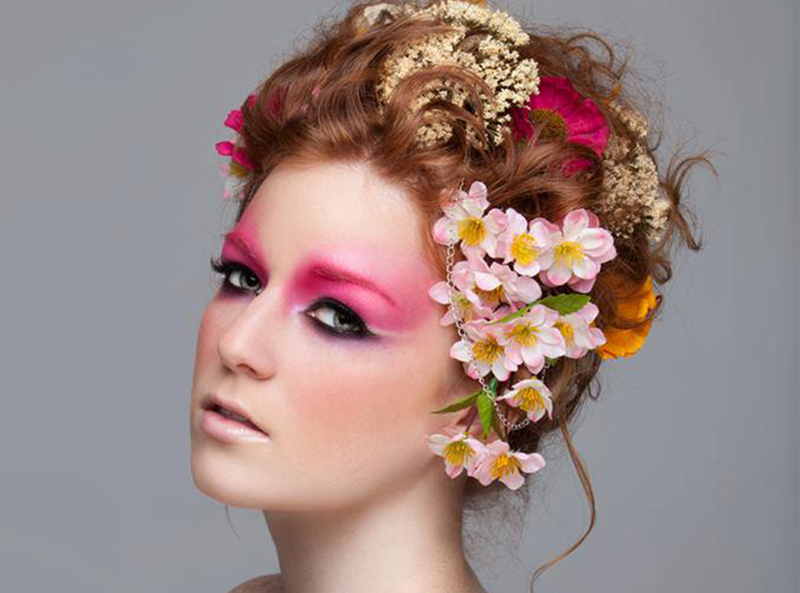 Our highly skilled makeup artists are experienced in just about every field. 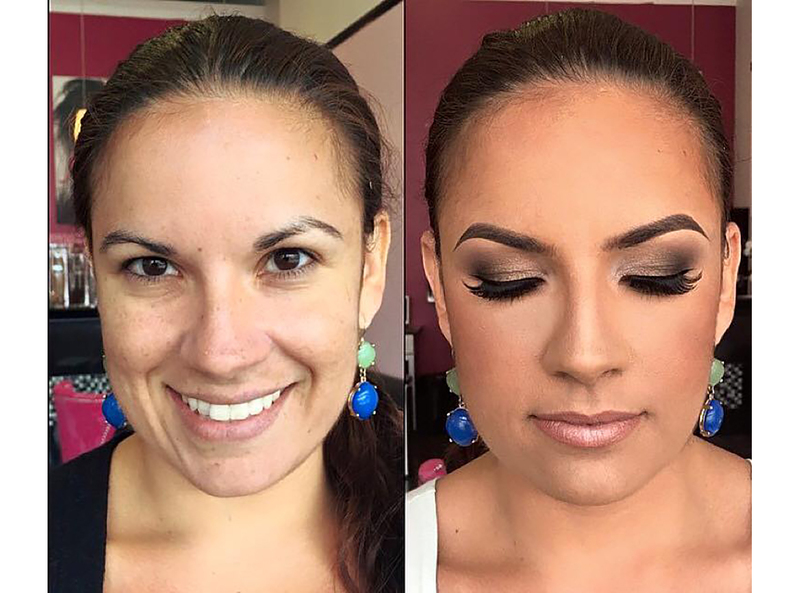 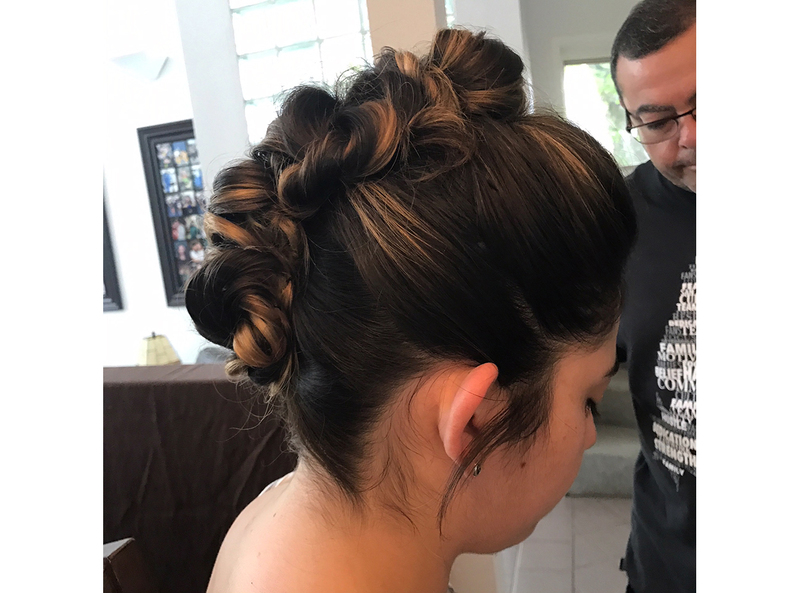 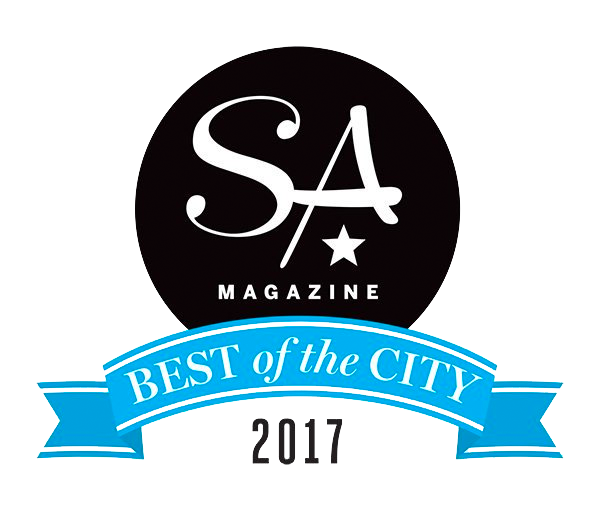 Whether it’s for a wedding, quince, photo shoot, TV spot, convention, a portrait, or just a night out, we are here to make you feel beautiful. 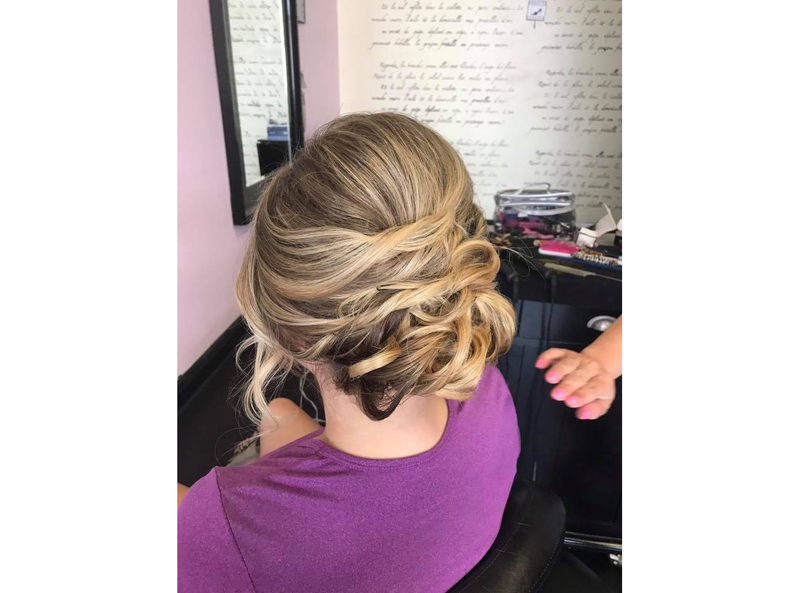 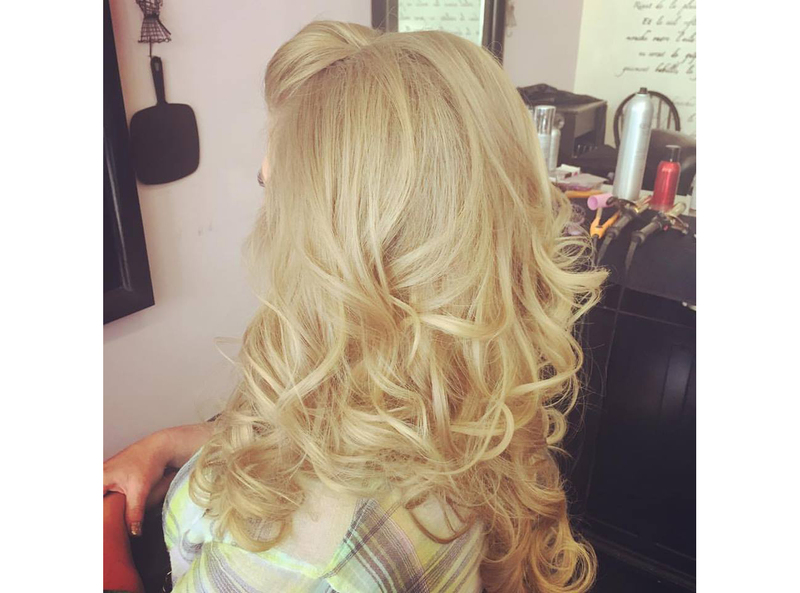 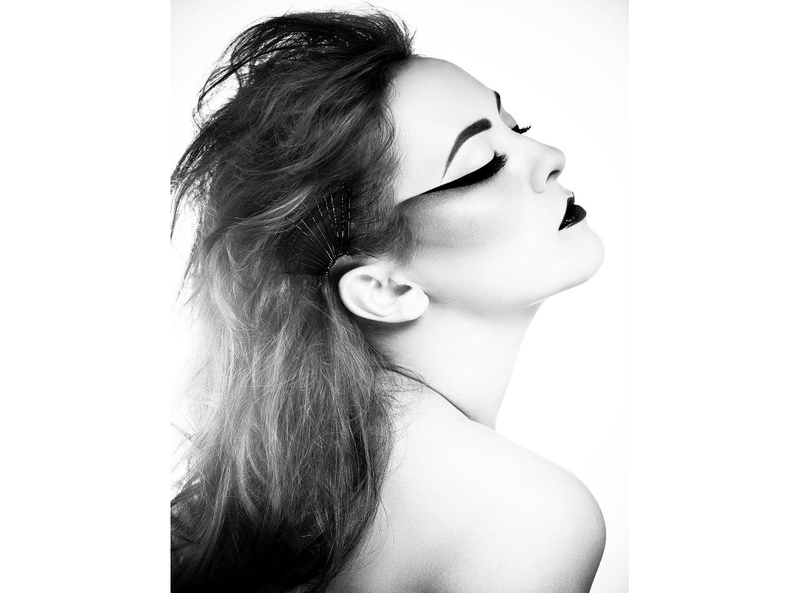 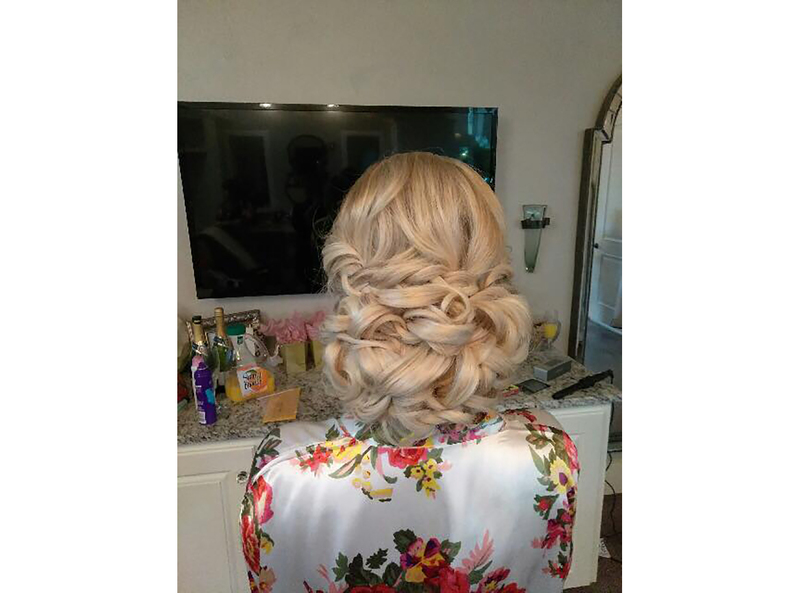 Whatever your hair or make-up needs, we are the team for you. 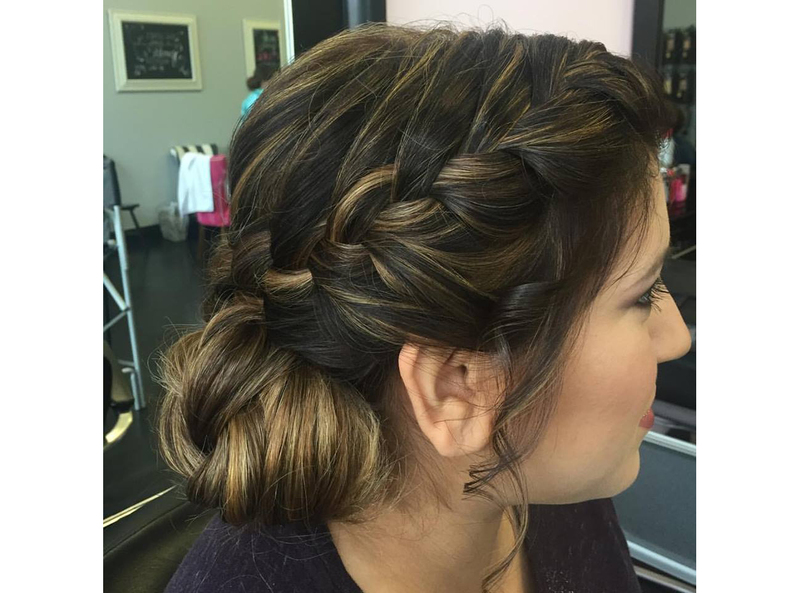 No matter what the theme, we can make sure you look the part! 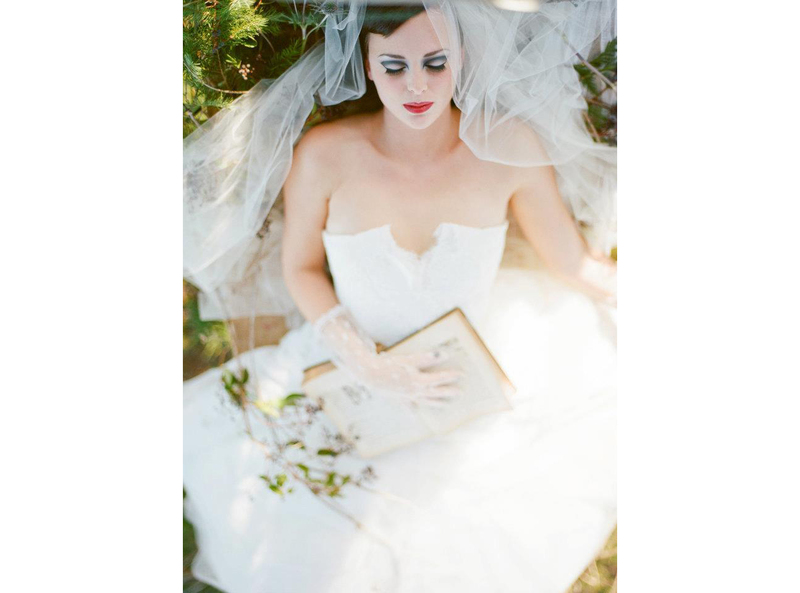 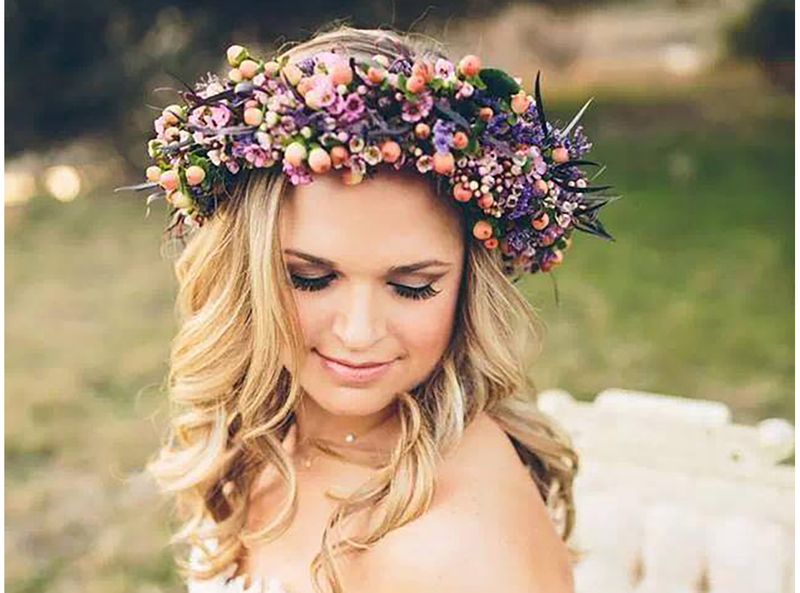 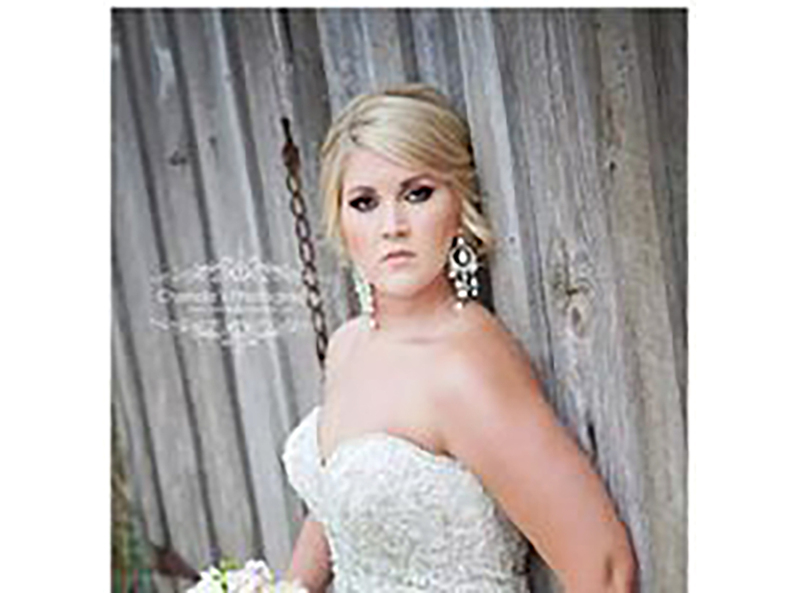 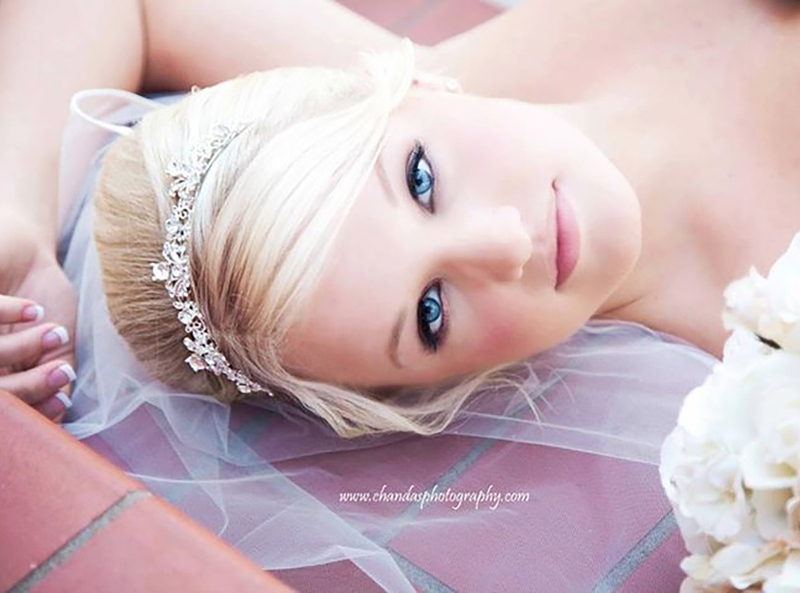 Your bridal portraits will be truly timeless, so looking your most beautiful is essential. 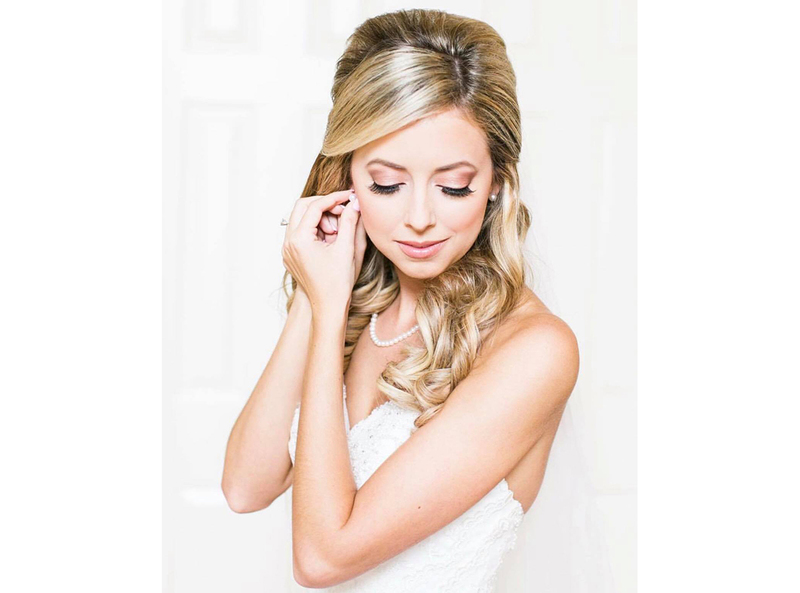 Whether you come to us or we go to you, rest assured that your hair and make-up will look just as perfect on your portrait day as they will on your wedding day itself. 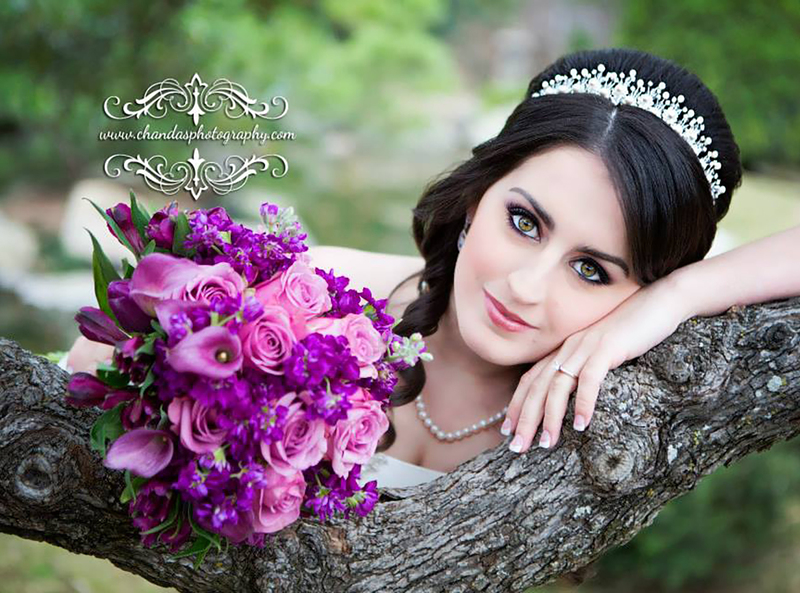 We’re also available to style your hair and make-up for your engagement photo shoots, as well.